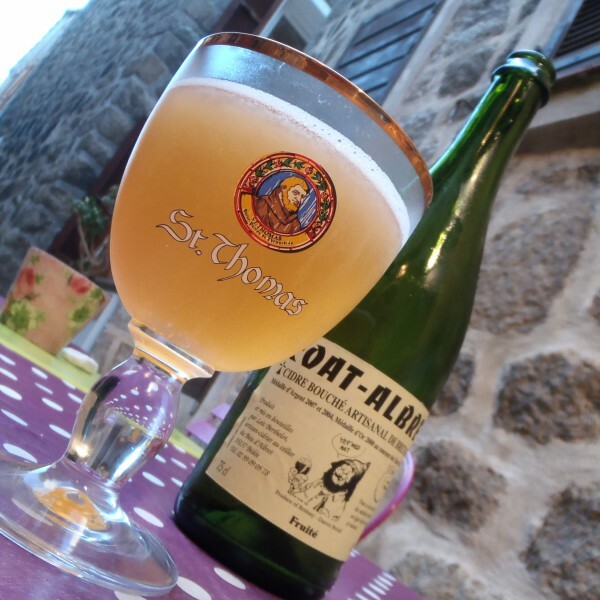 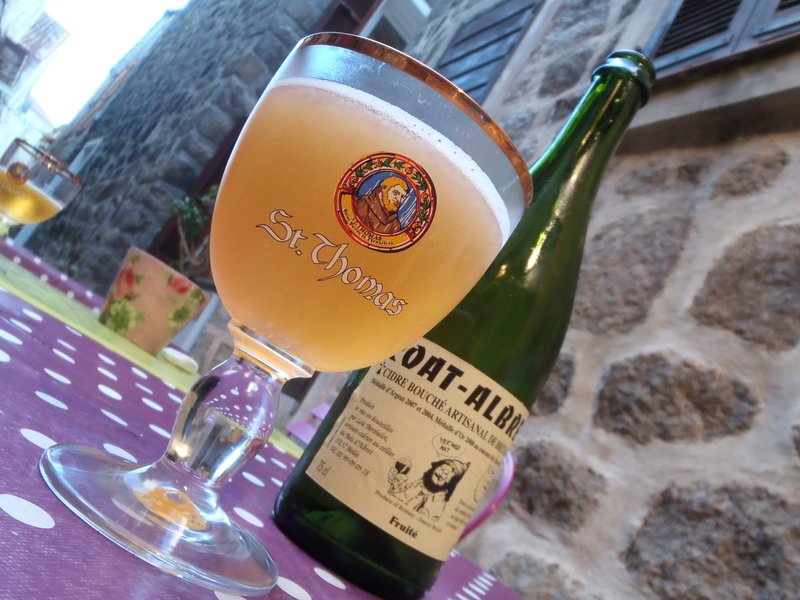 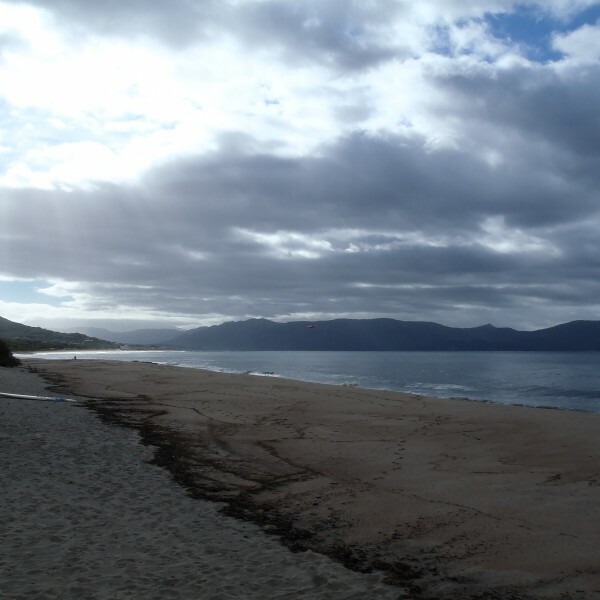 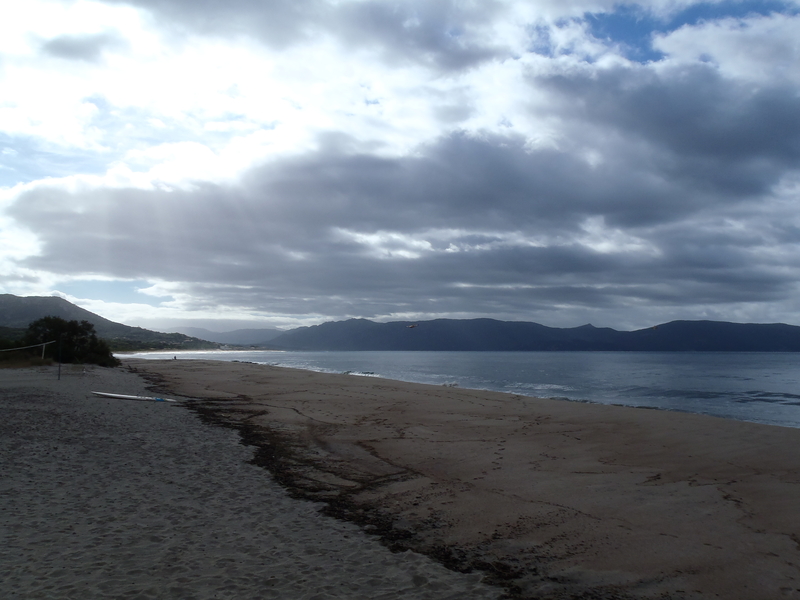 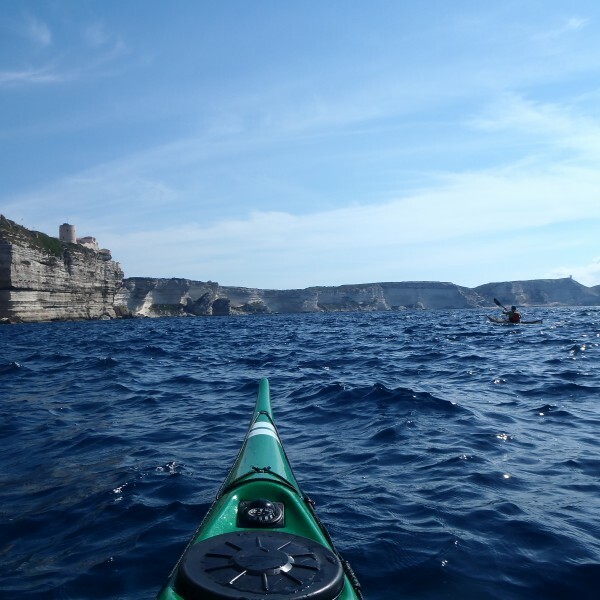 This was the first time we visited France for a paddle, or shell I rather say Corsica. 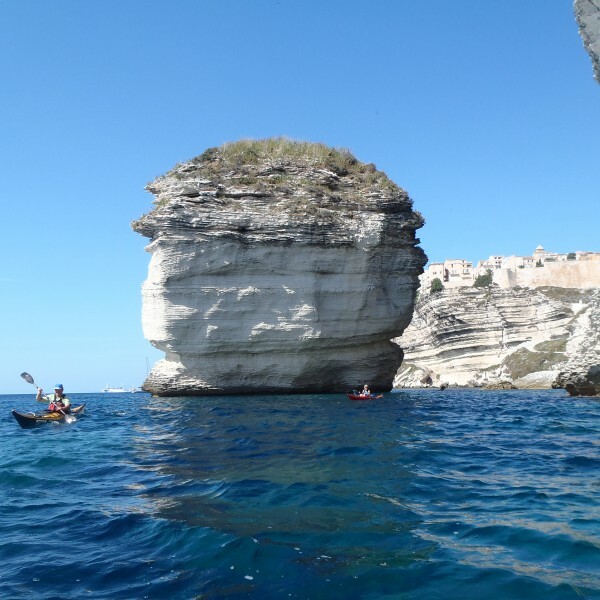 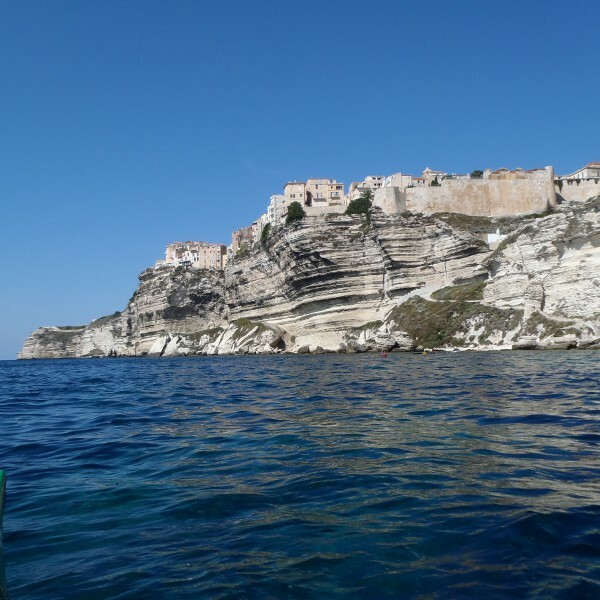 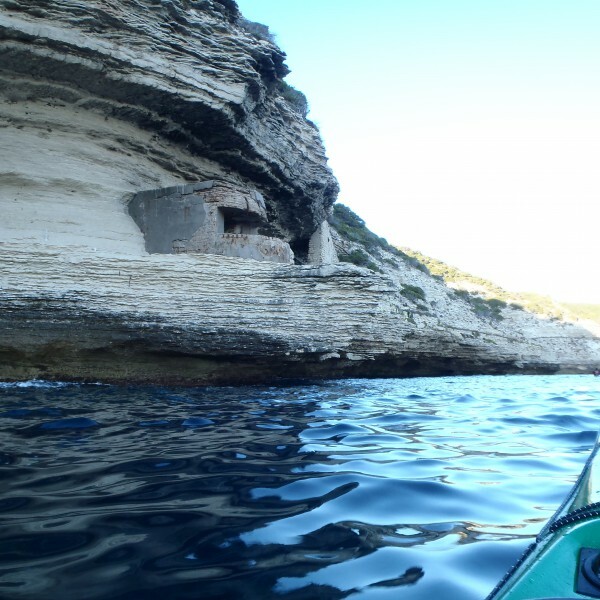 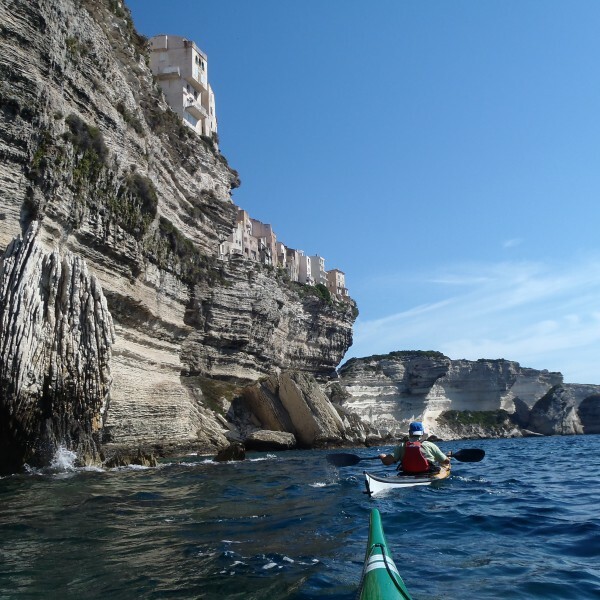 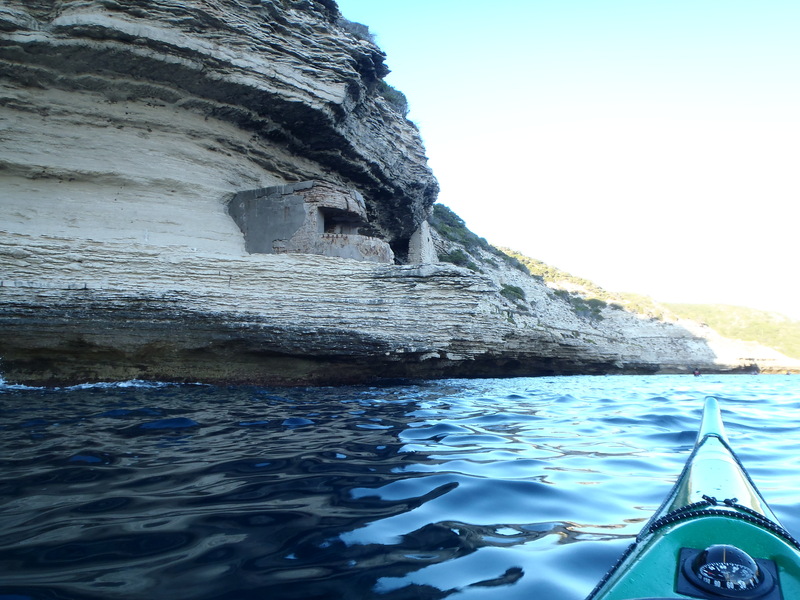 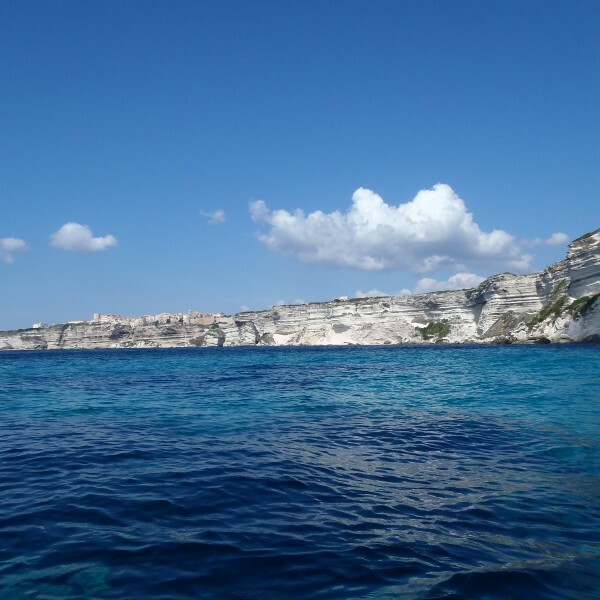 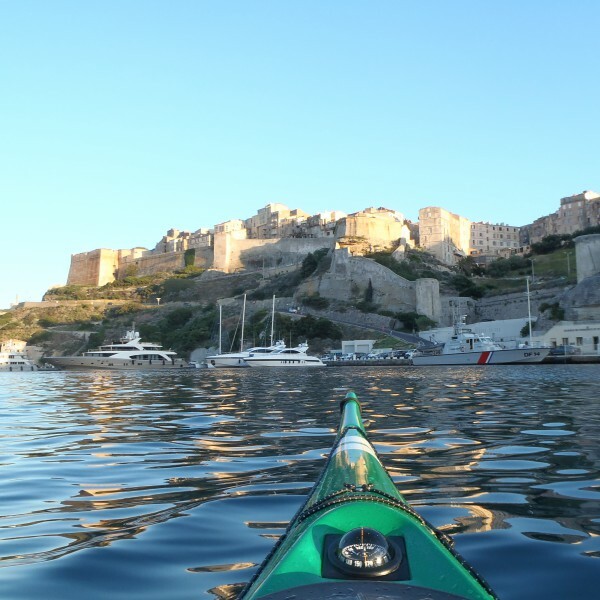 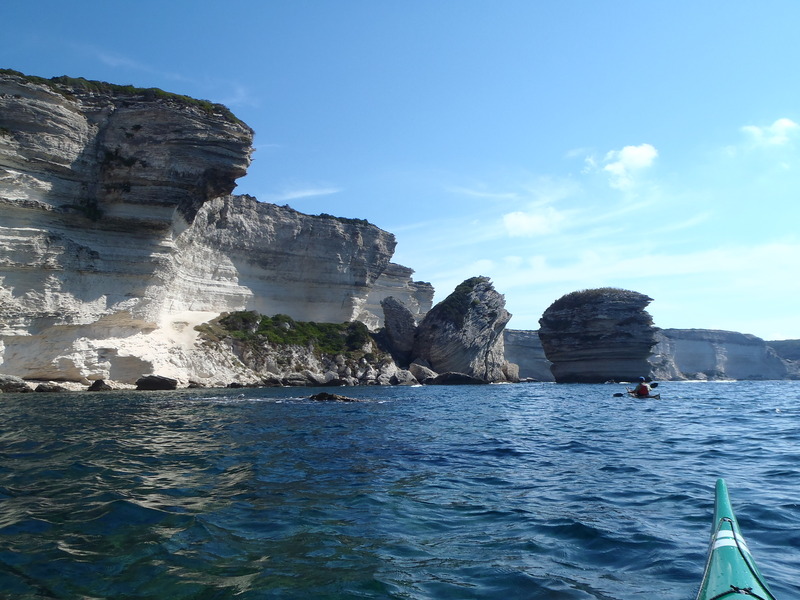 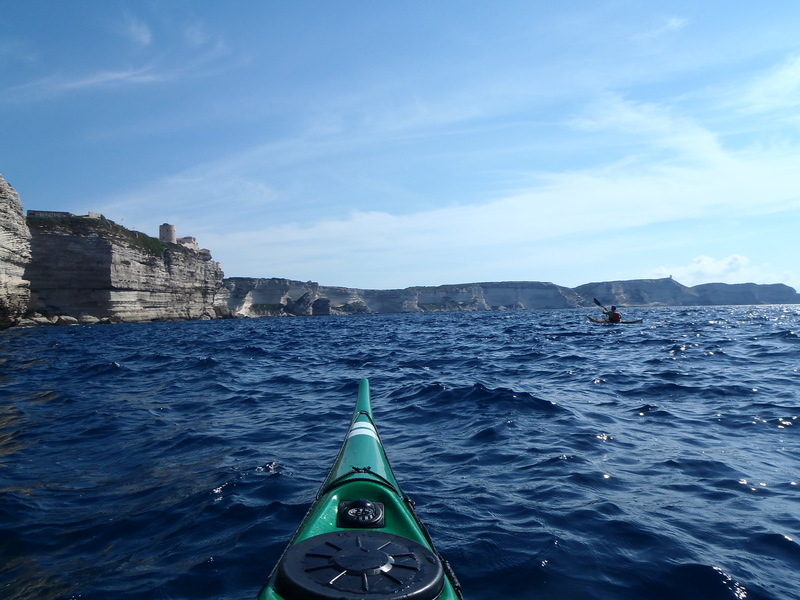 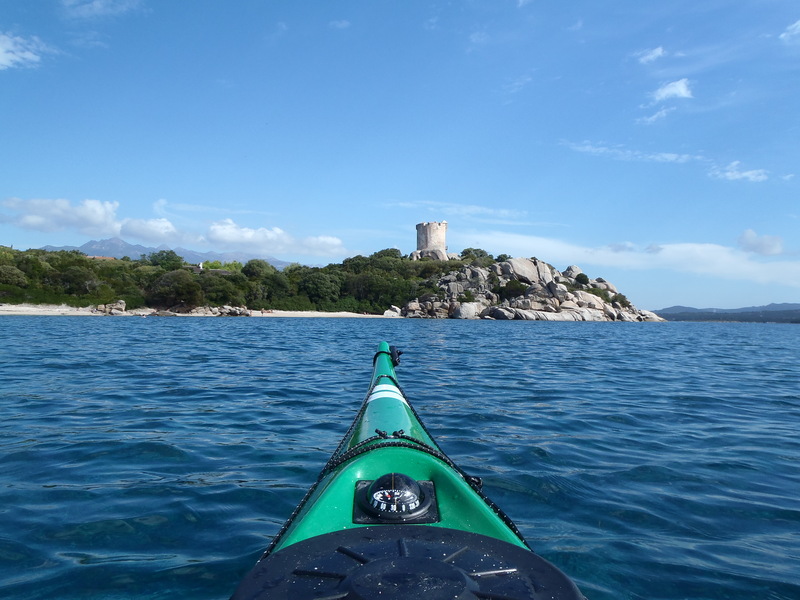 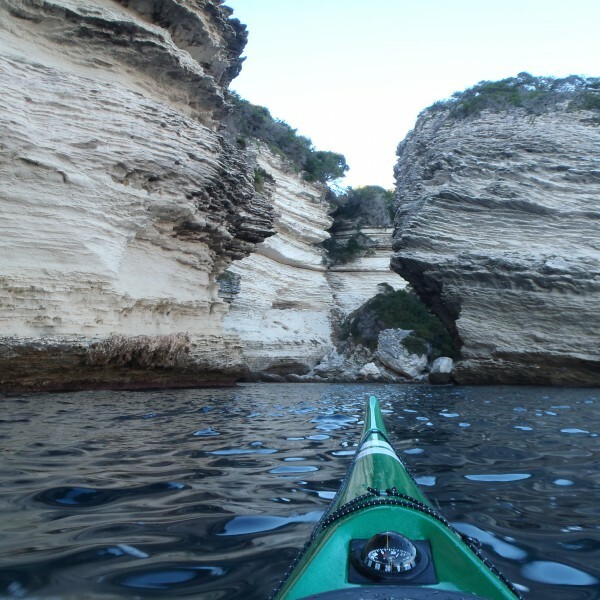 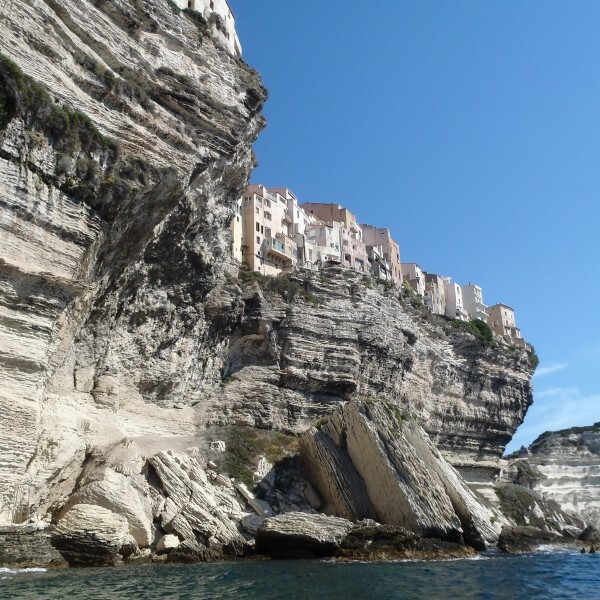 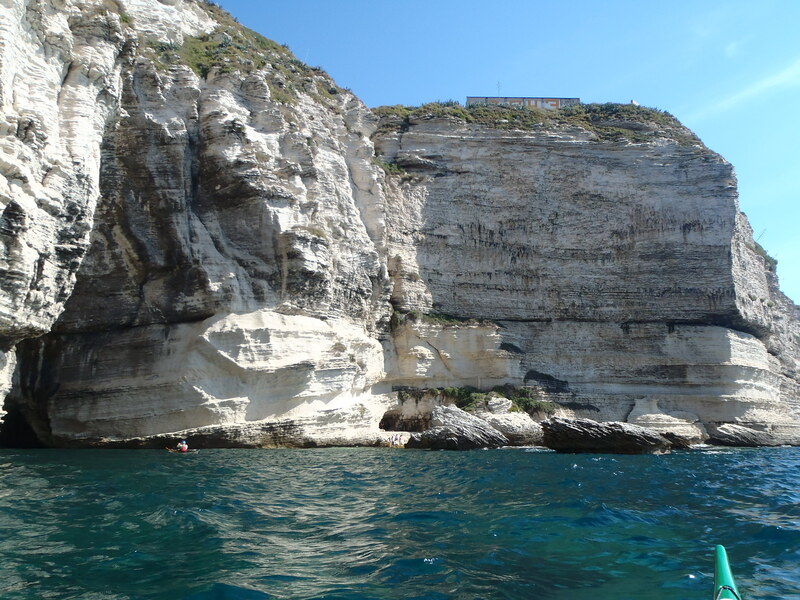 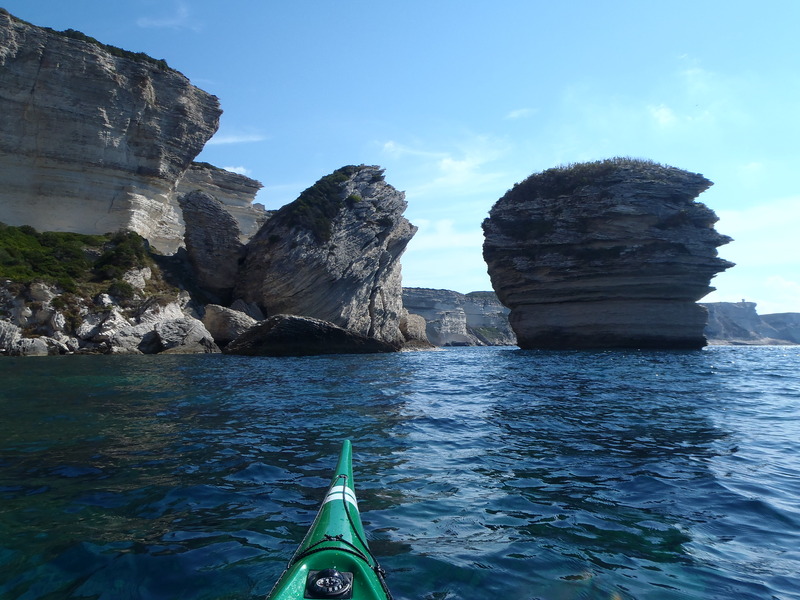 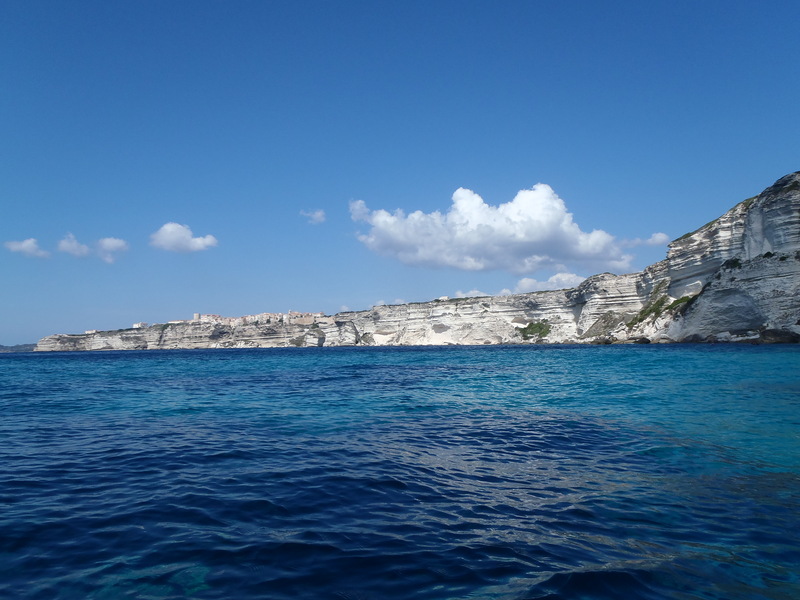 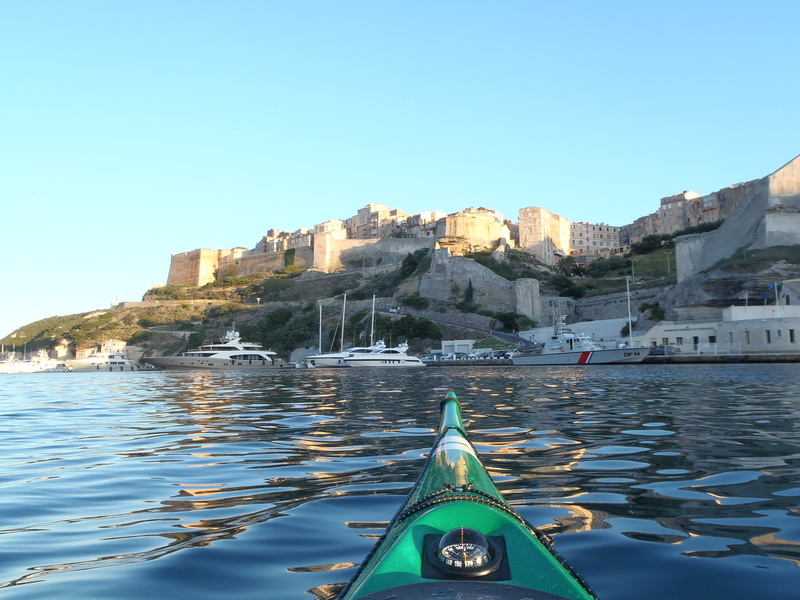 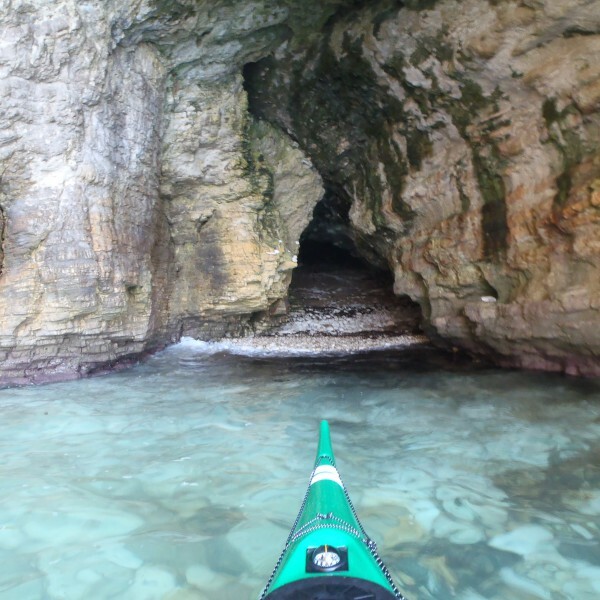 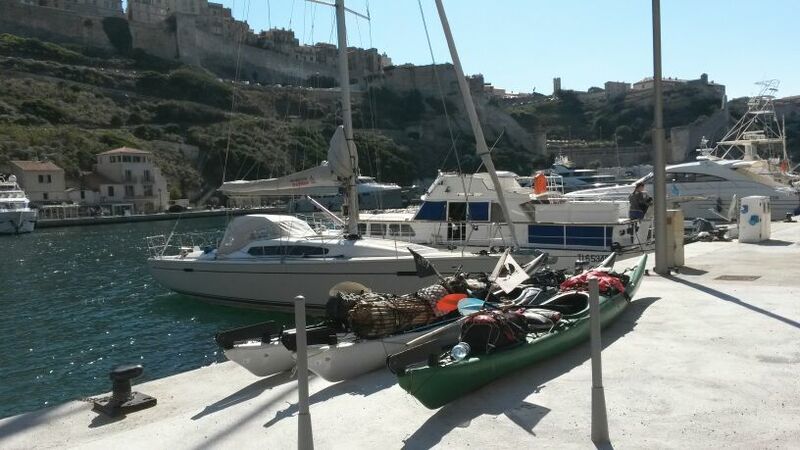 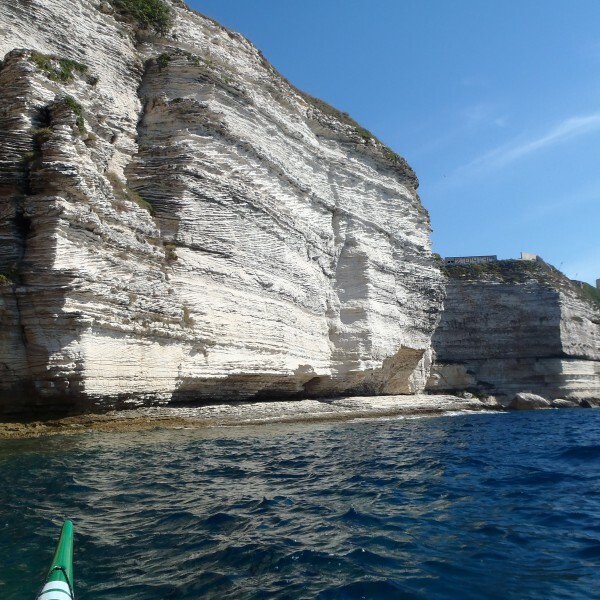 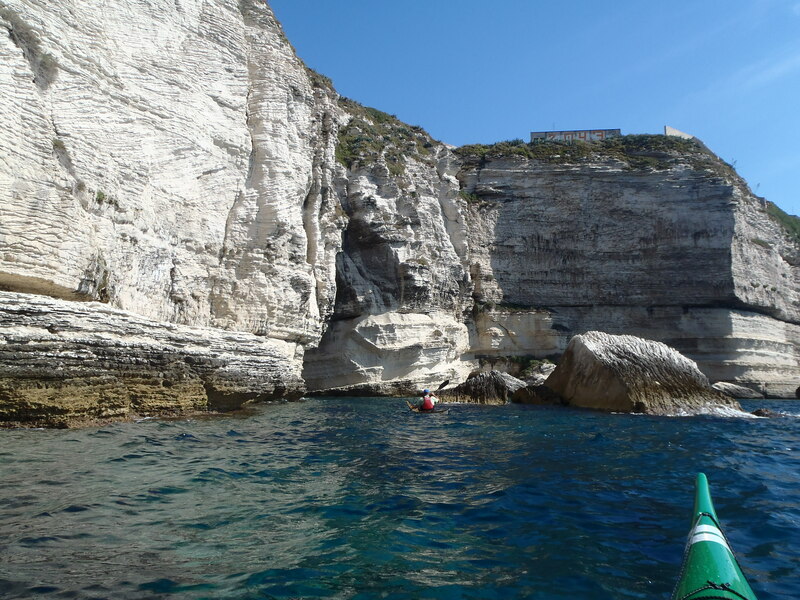 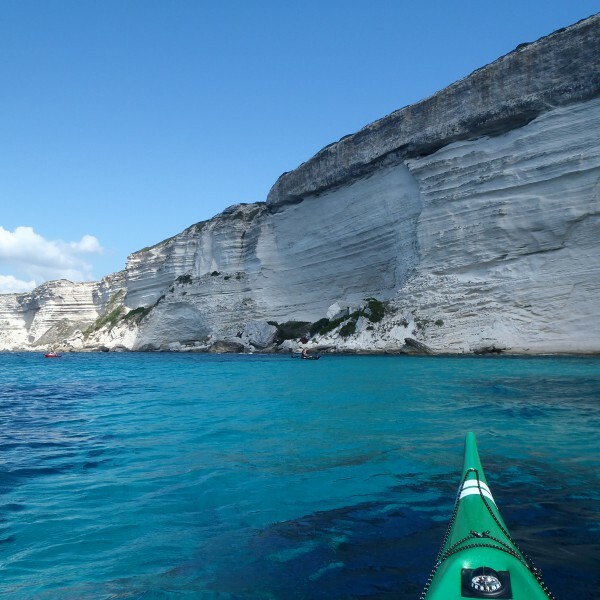 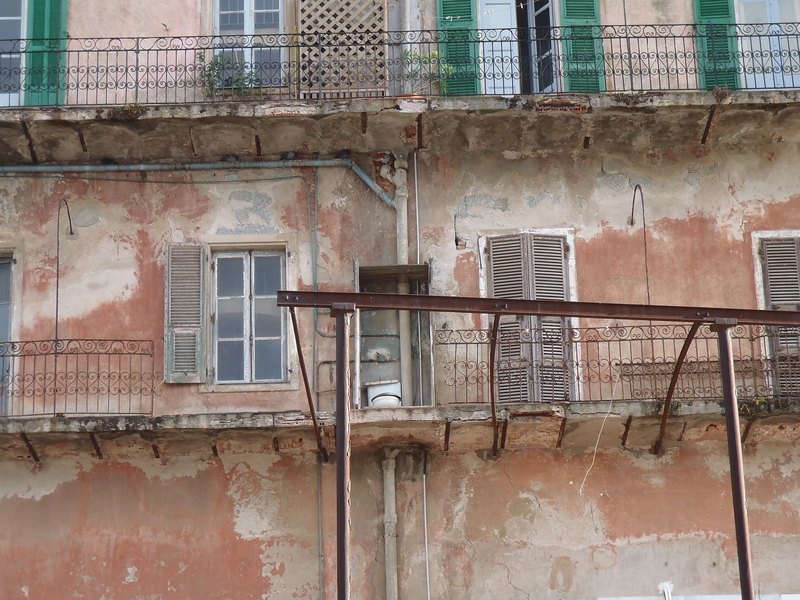 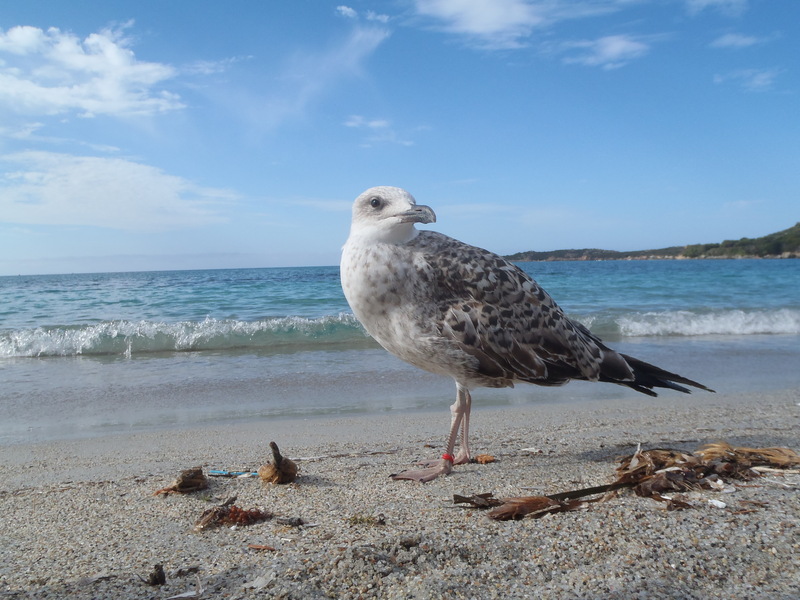 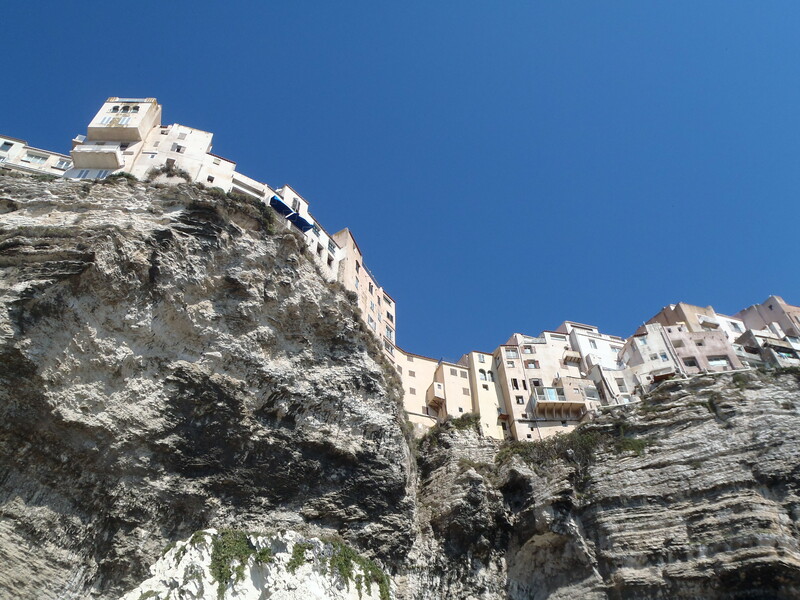 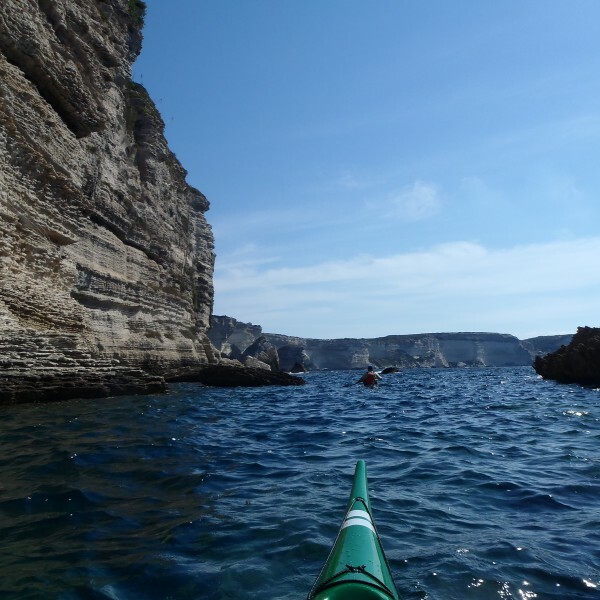 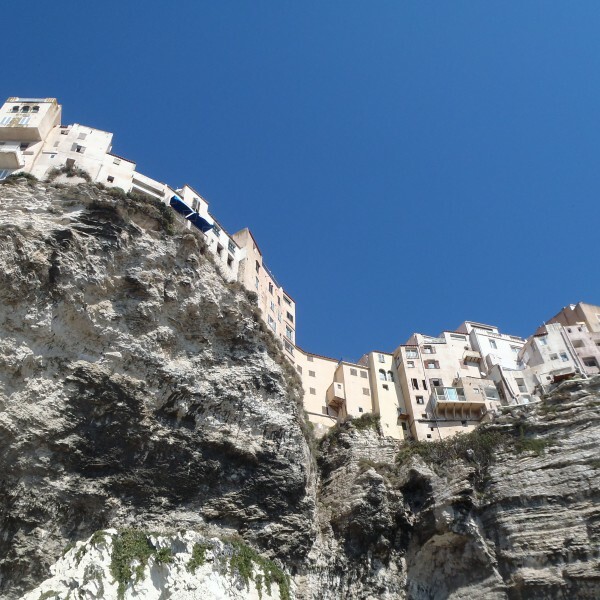 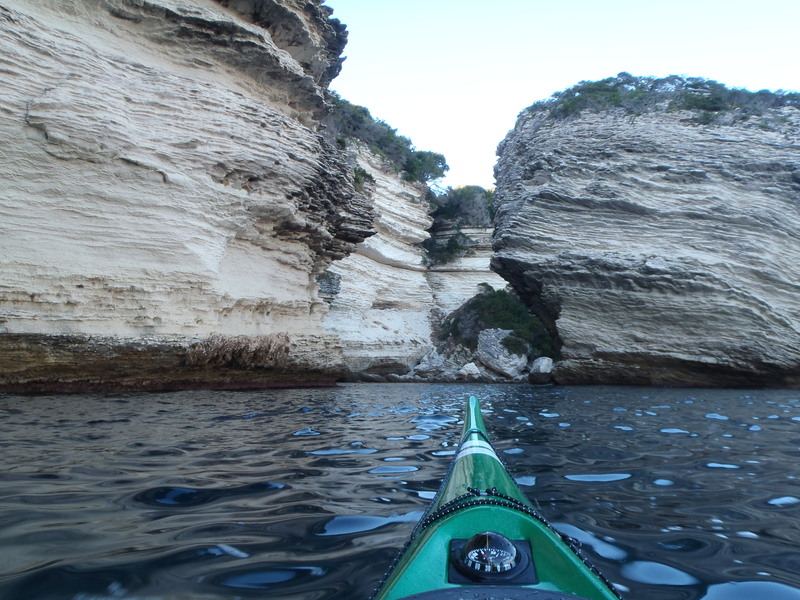 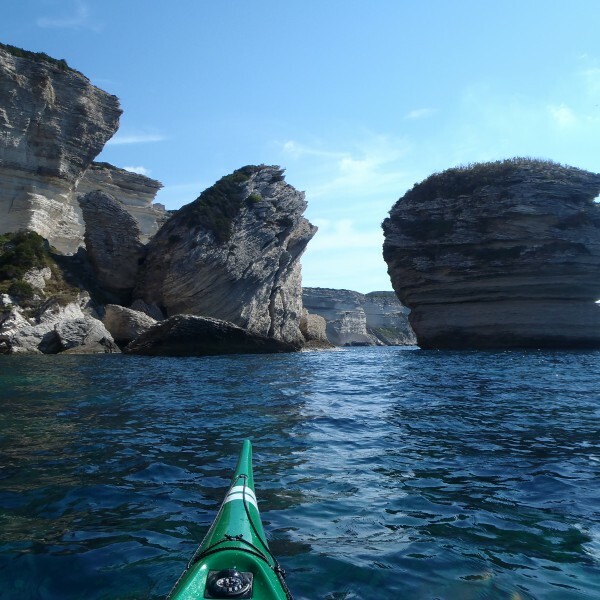 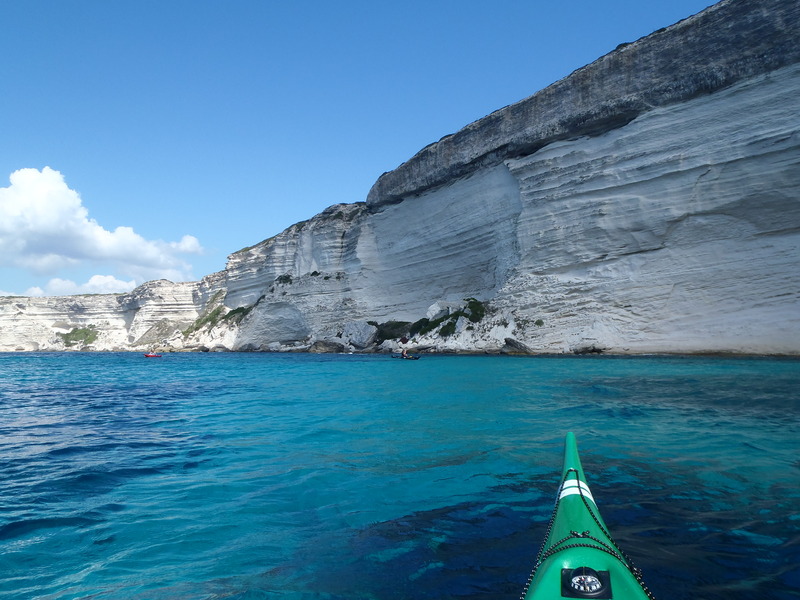 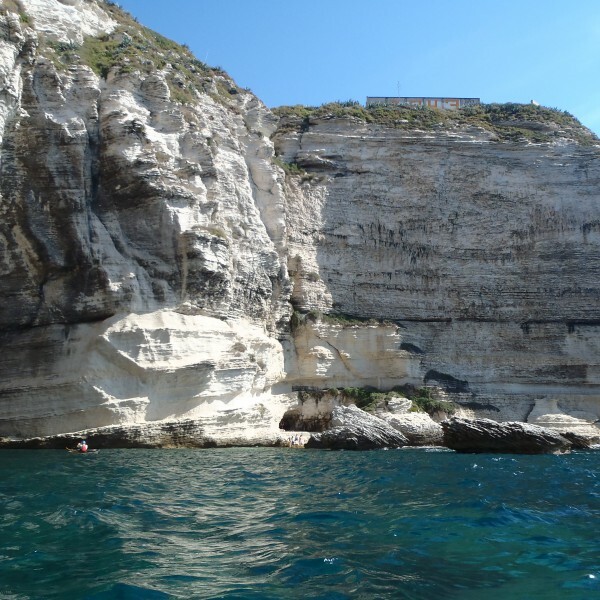 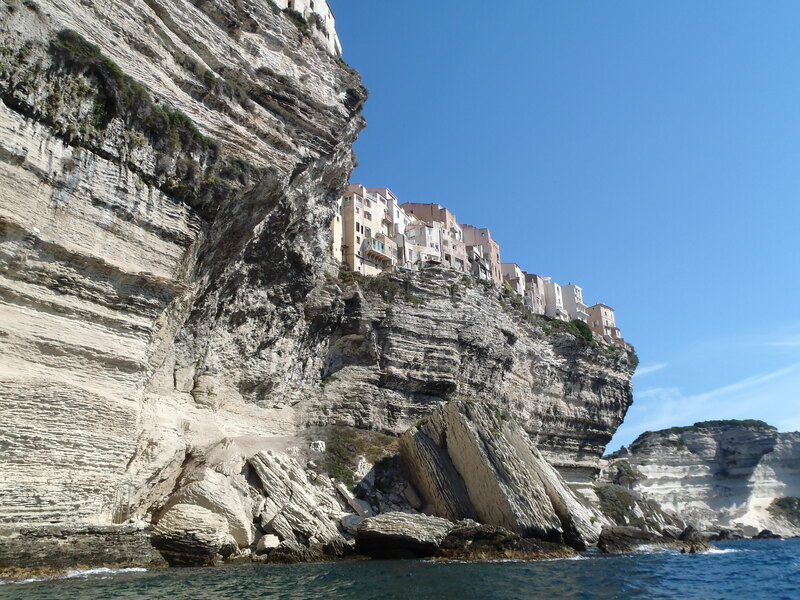 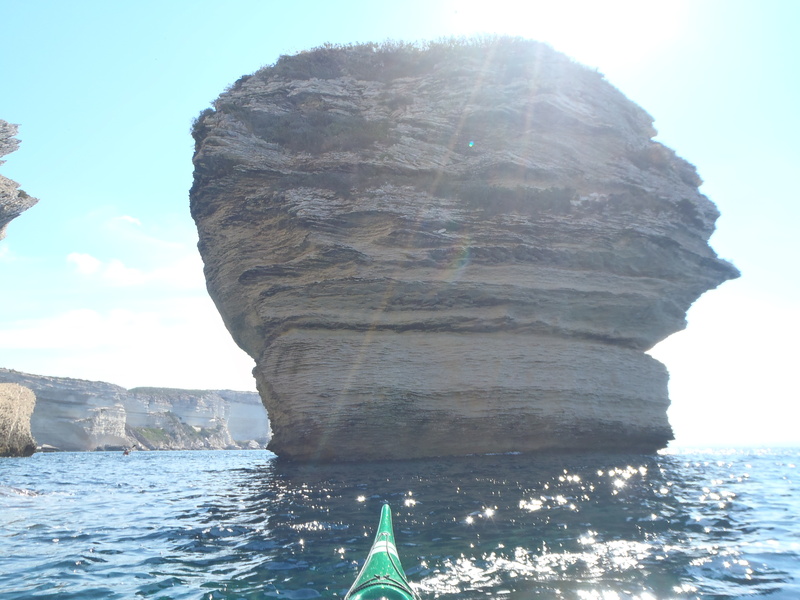 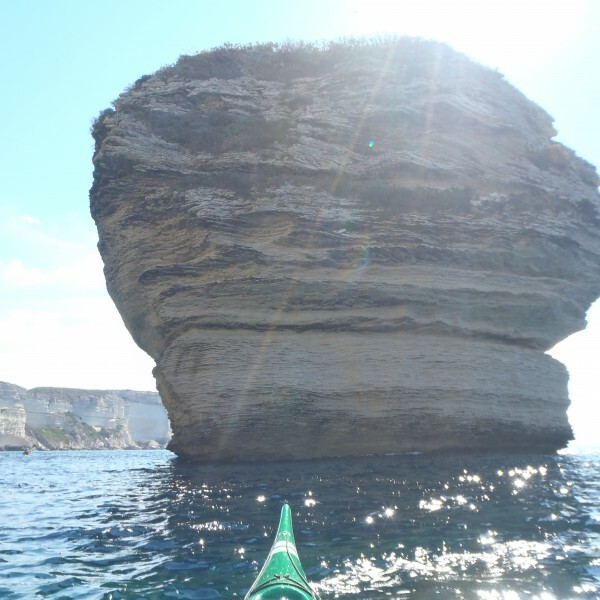 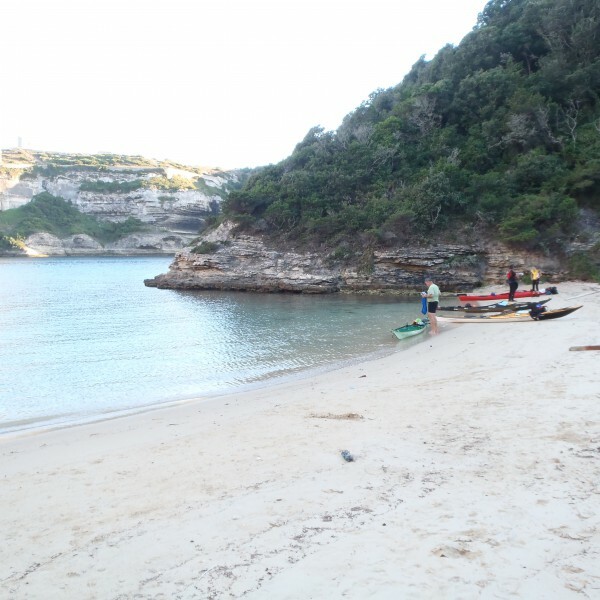 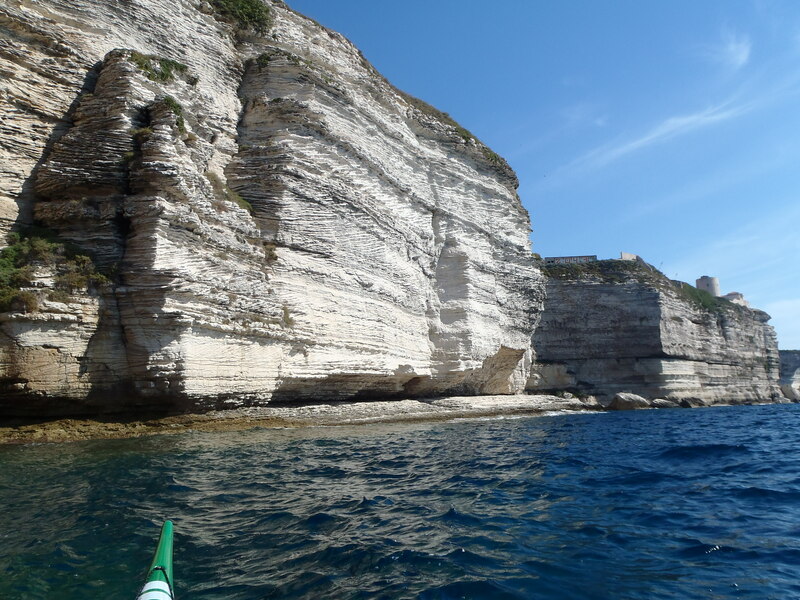 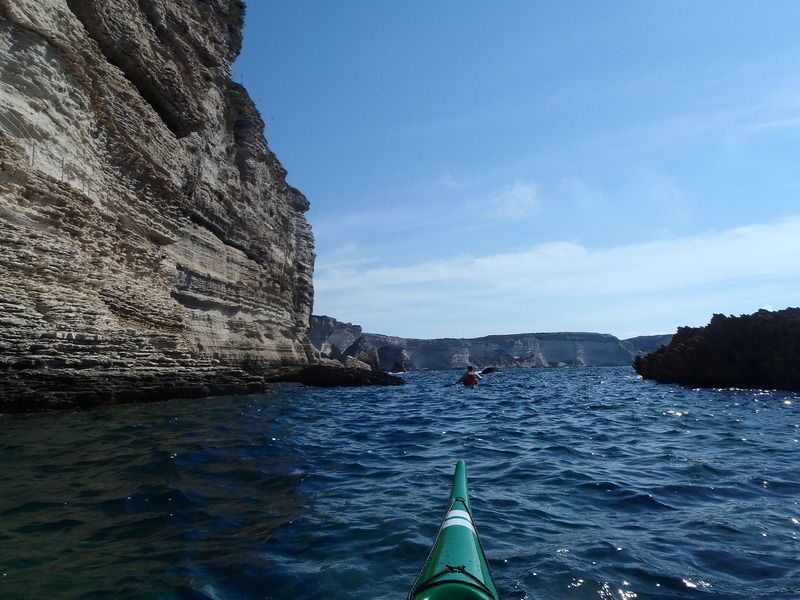 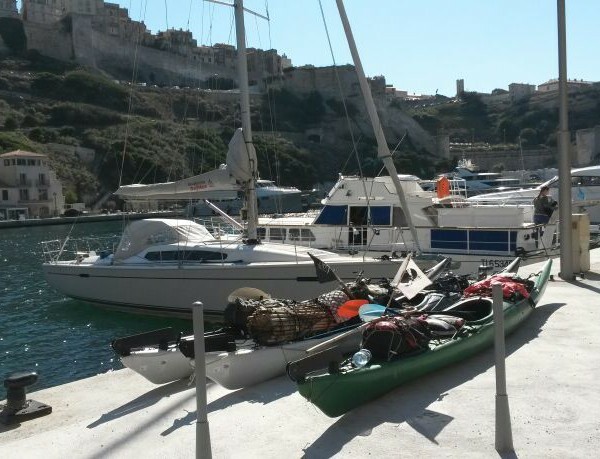 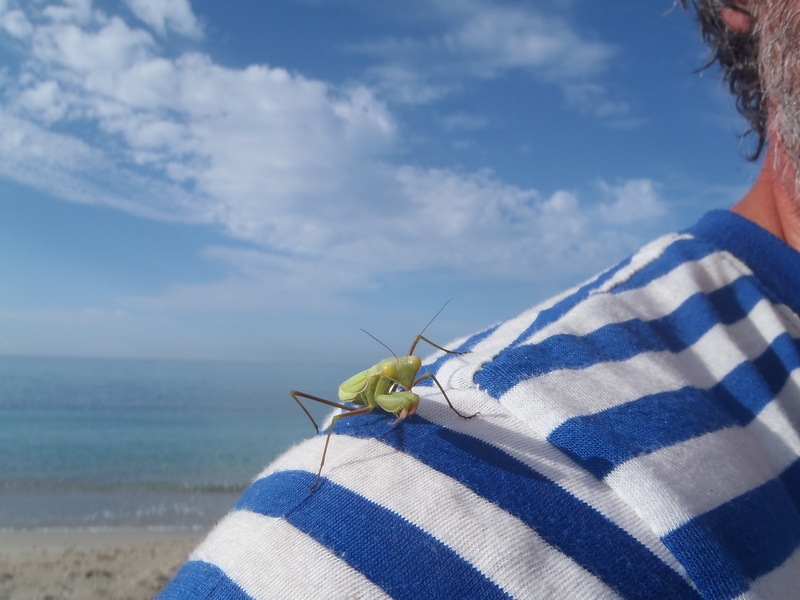 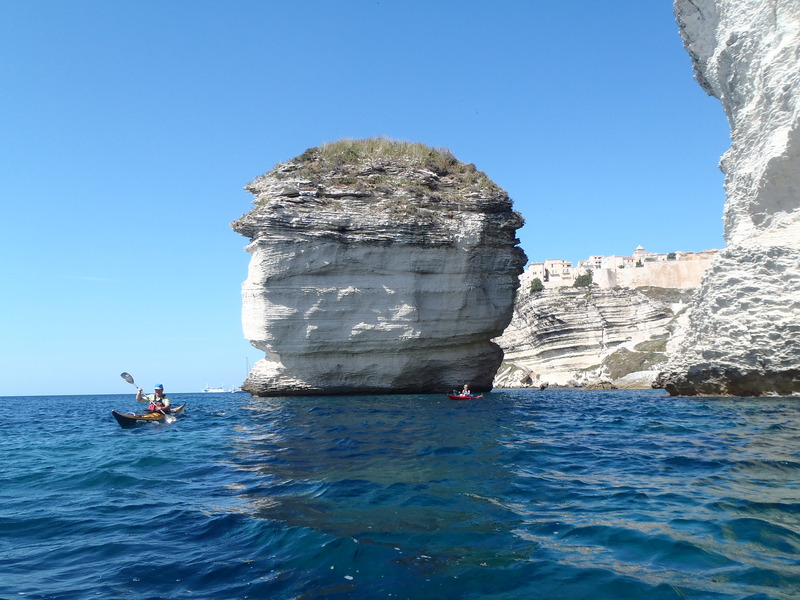 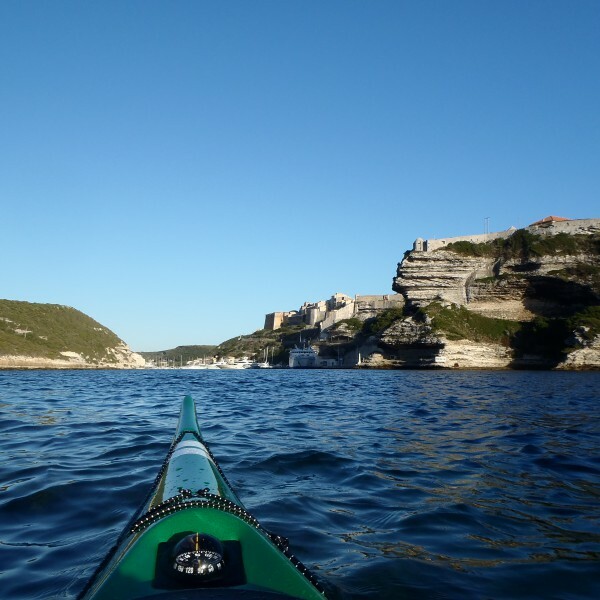 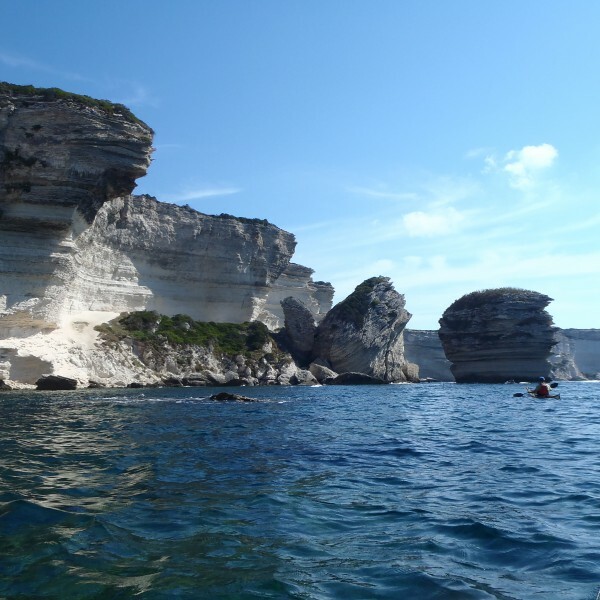 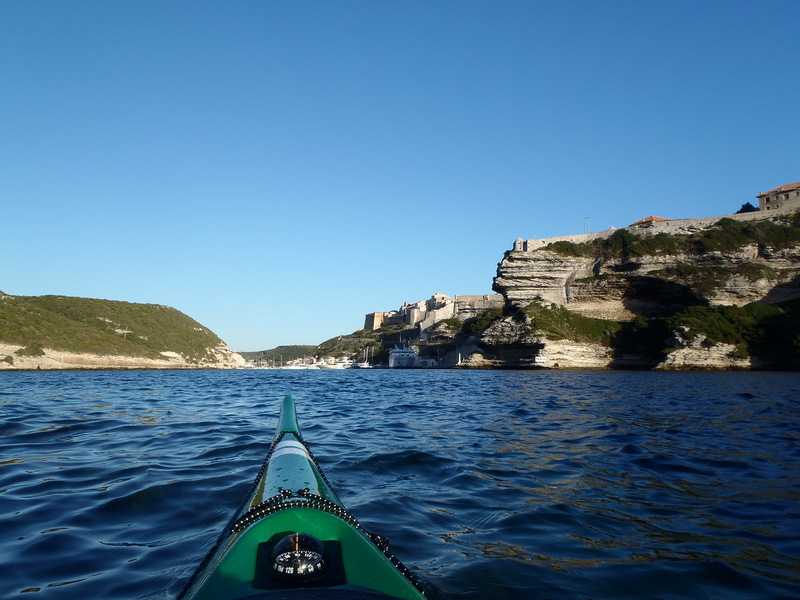 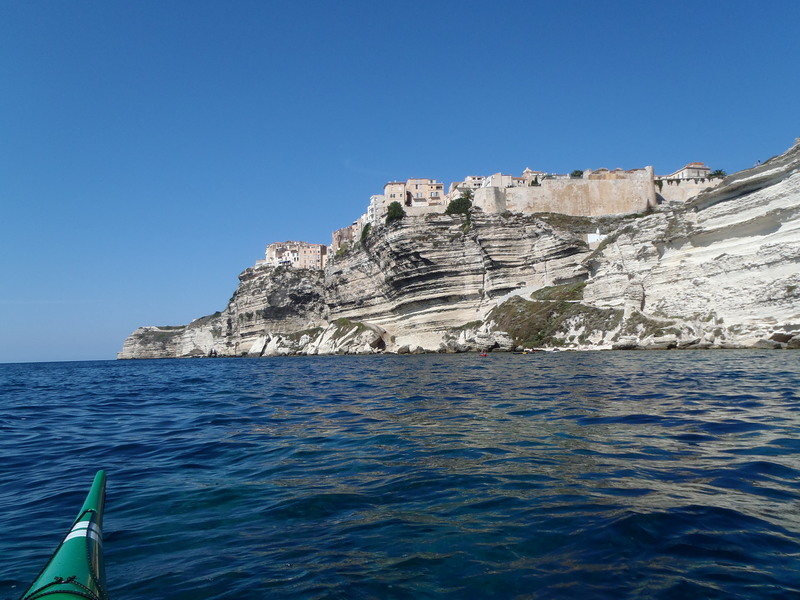 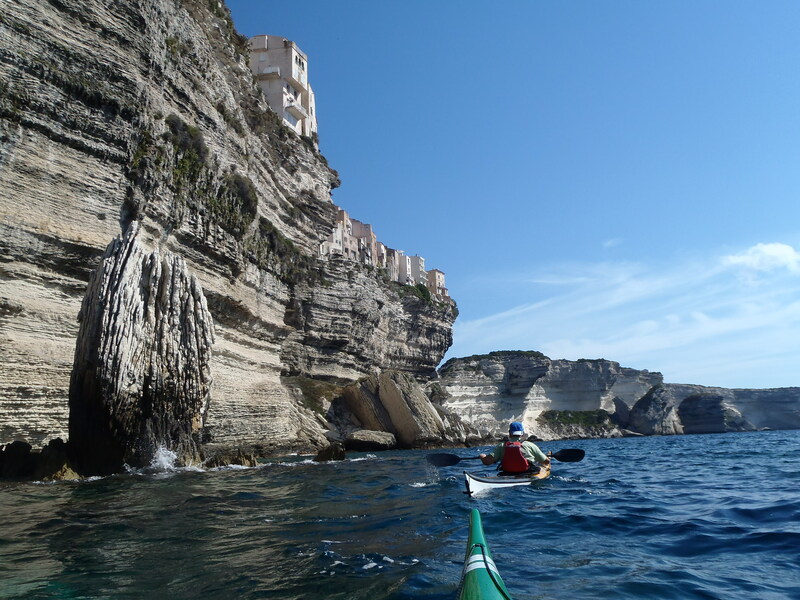 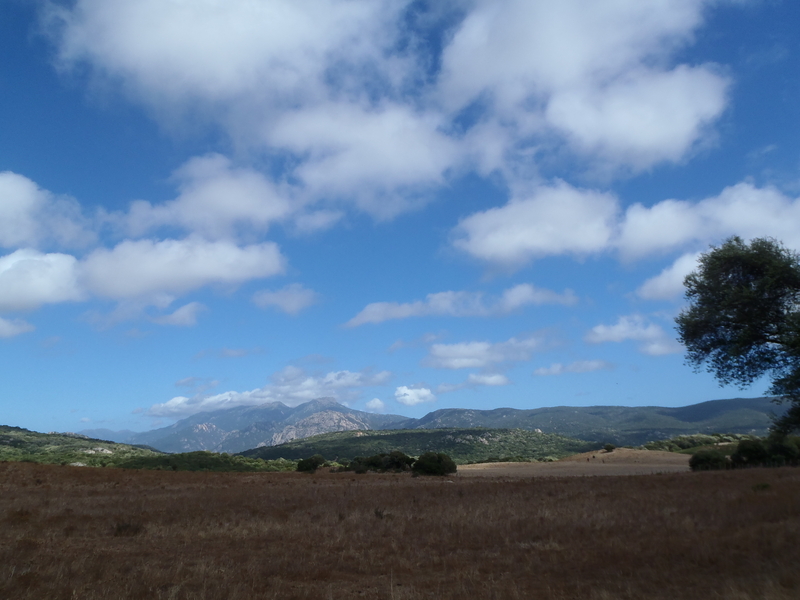 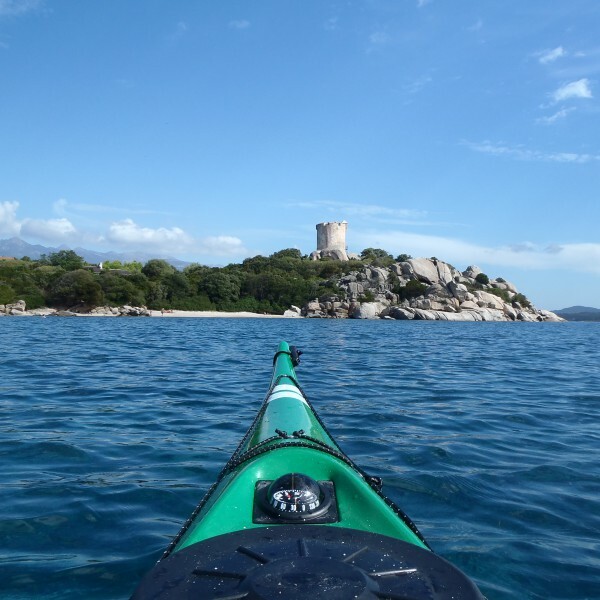 It is a short but bumpy „ride“ (due to heavy storm) with a ferry from Livorno (4 hours) to Bastia and few hours drive to the west side of the island, where the landscape gets very interesting all the way to Bonifaccio – THE most beautiful place I have ever been to on a kayak. 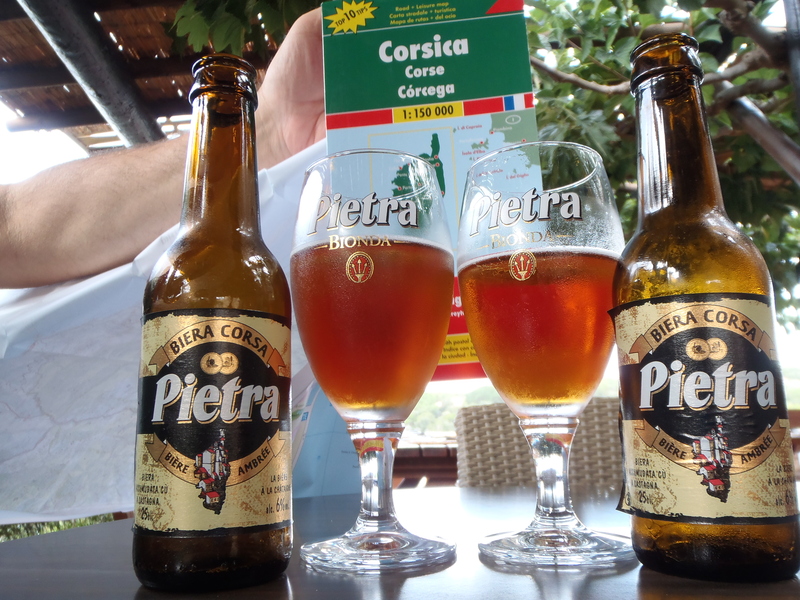 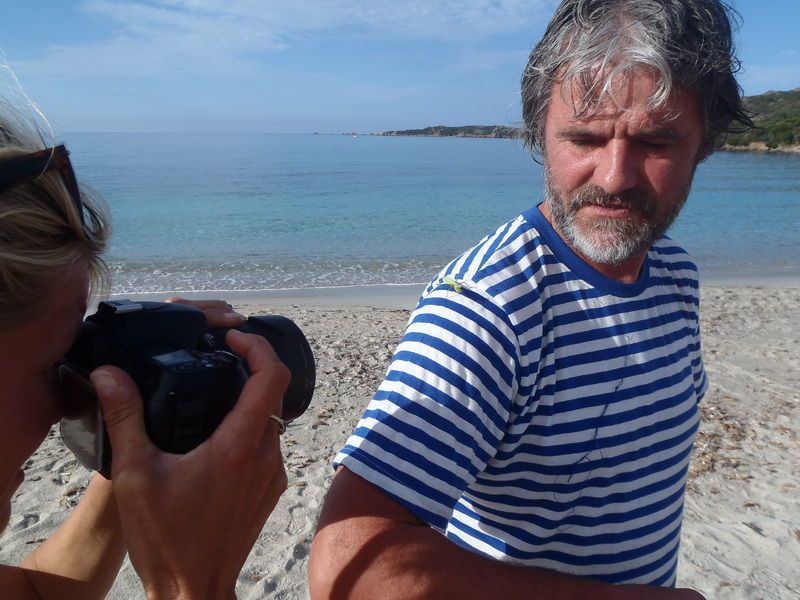 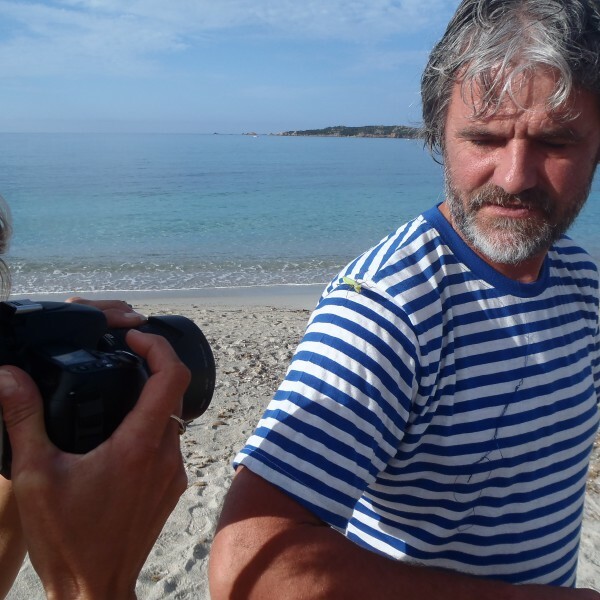 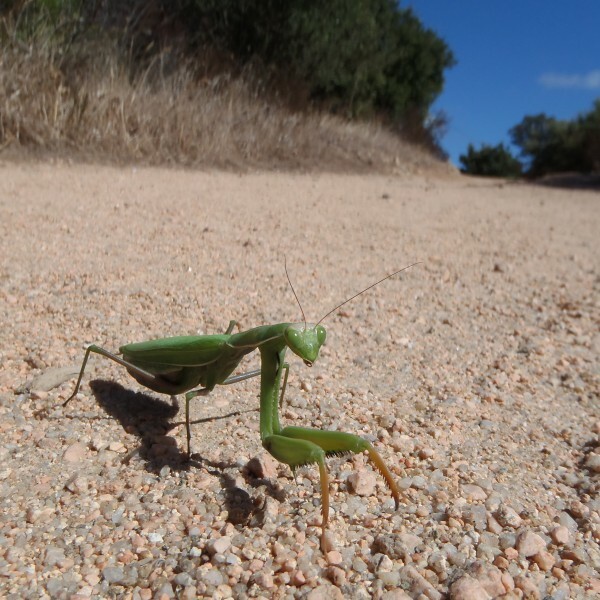 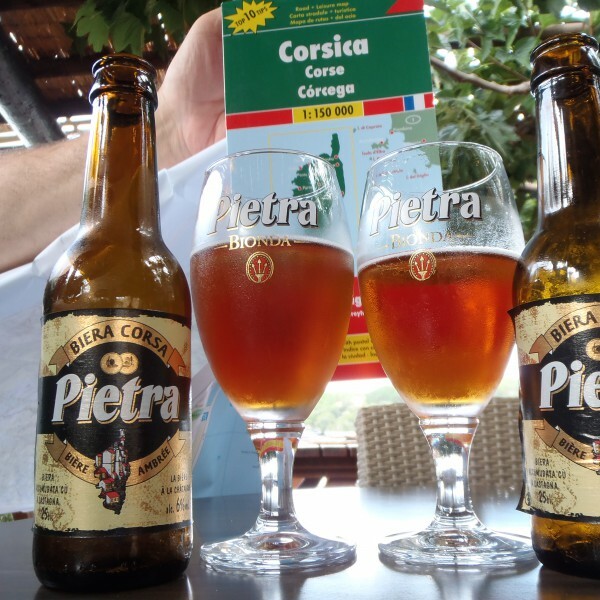 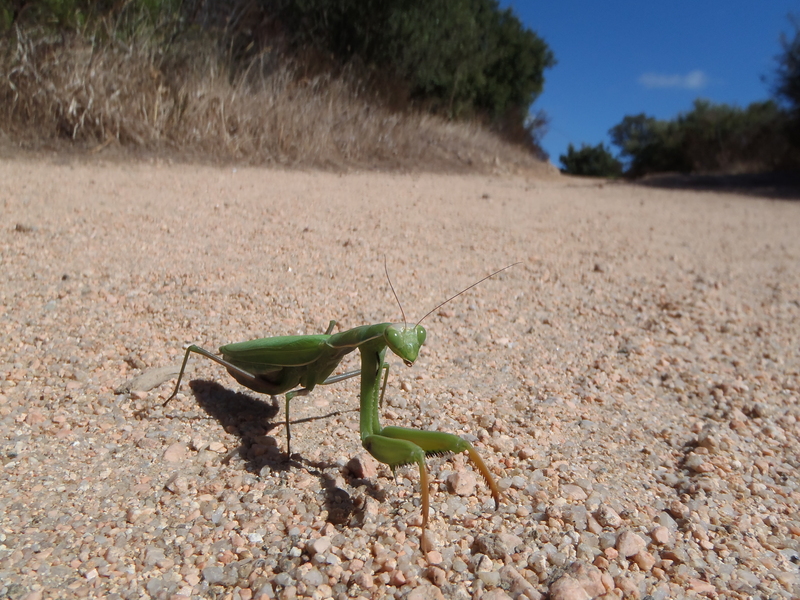 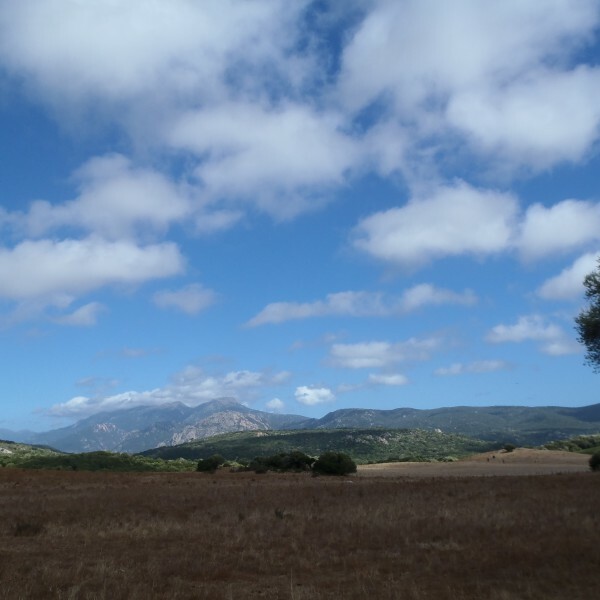 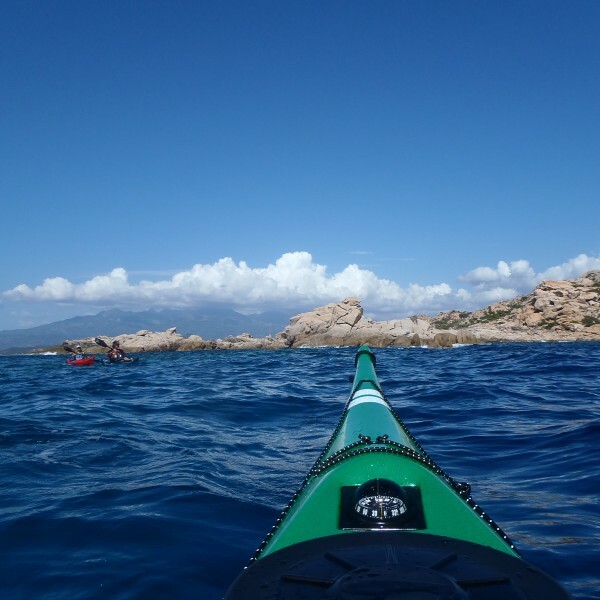 We have met 3 French guys who were going around Corsica, a group of UK paddlers crossing from South of Corsica to St.Magdalena’s islands (Sardinia), top-less sit-on-top female sea kayakers and brave girls who did the GR20 (one of the toughest hiking routes in Europe – 180km), who we luckily shared a ride with to pick up our car in Tizzano. 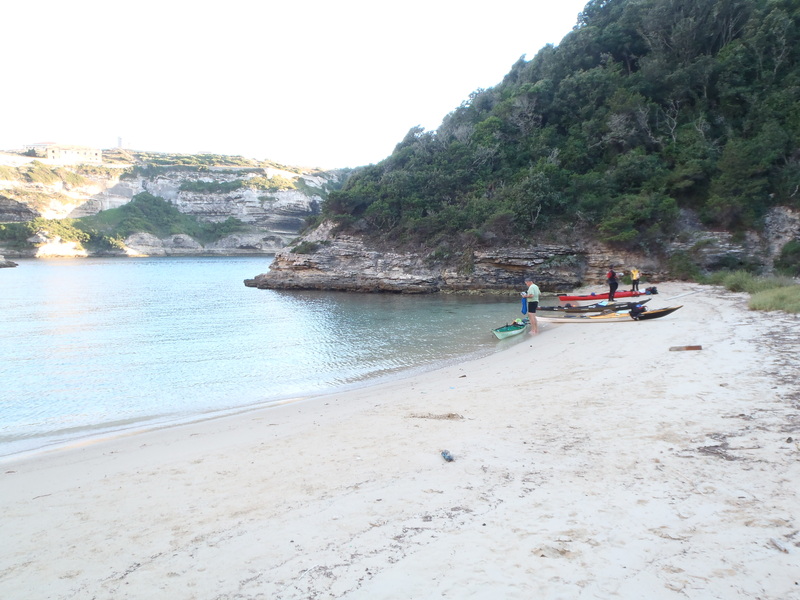 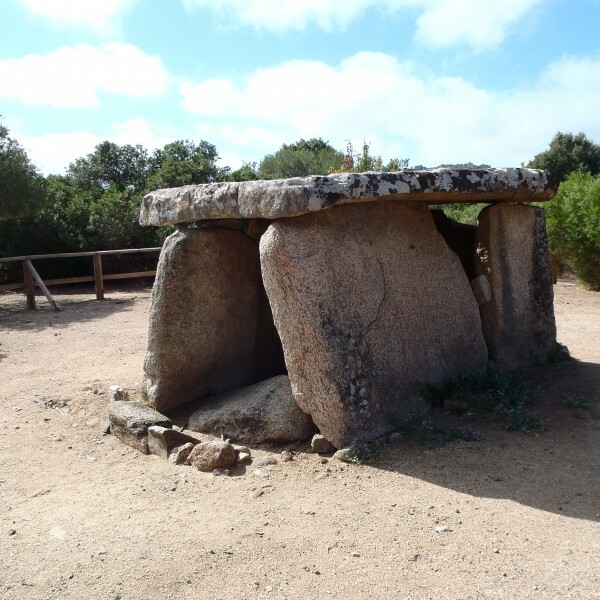 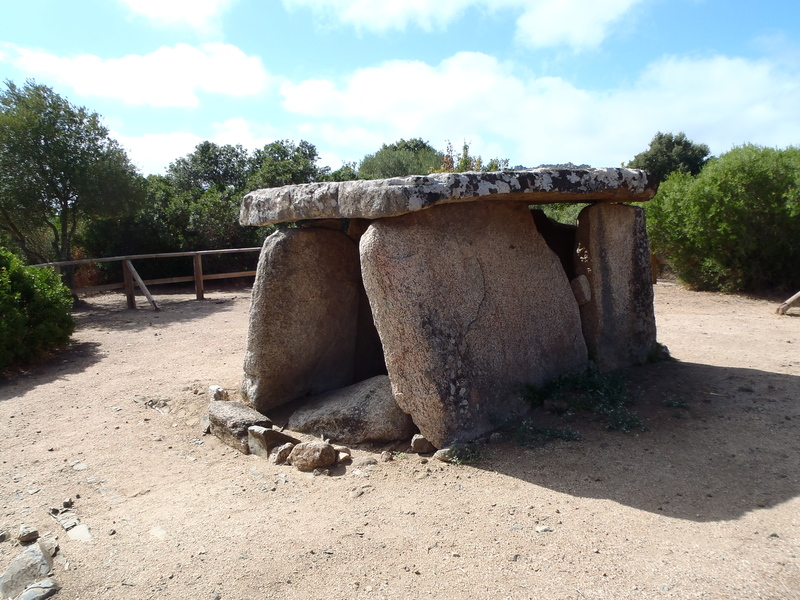 We also met local people who were either nice or not too nice to us – either way, we are happy all went through quite smooth. 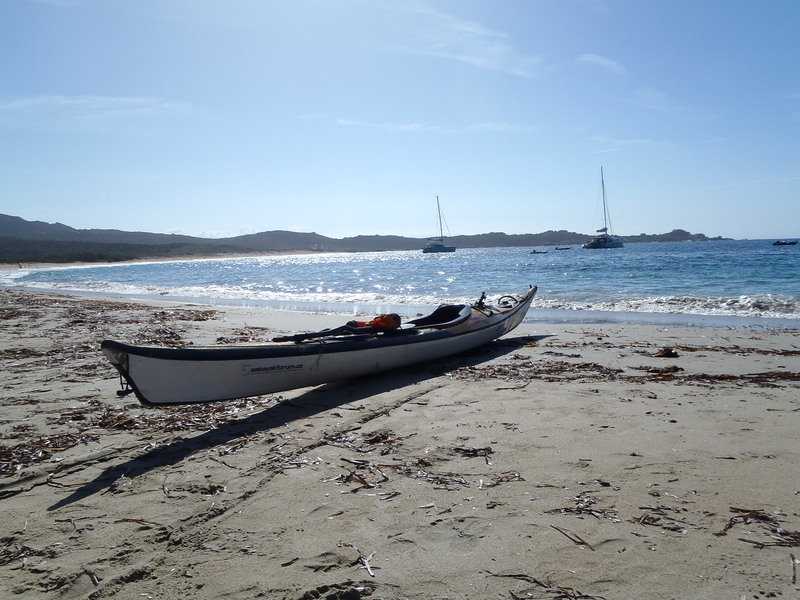 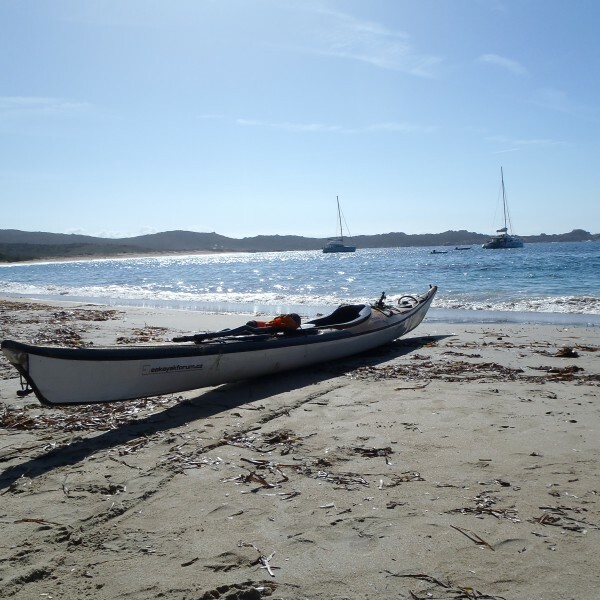 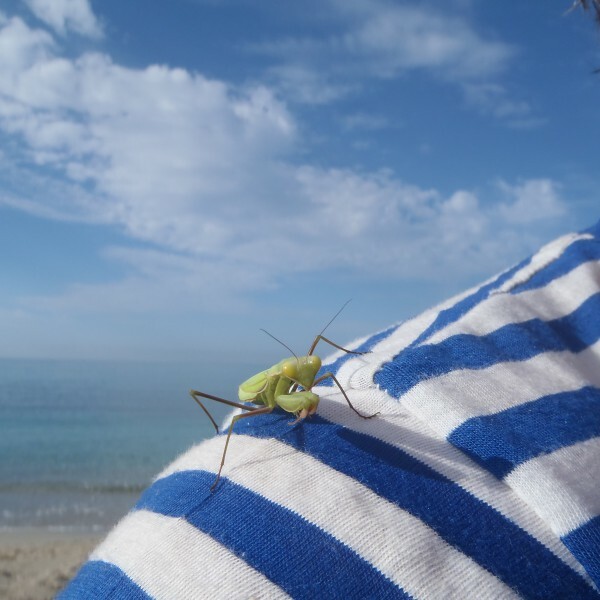 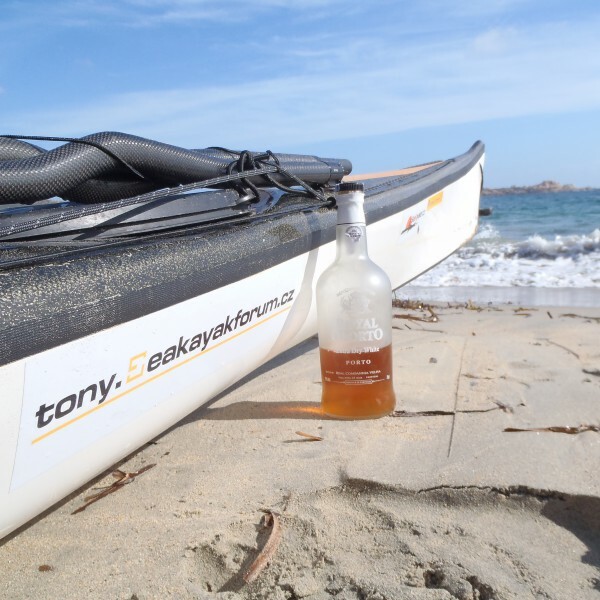 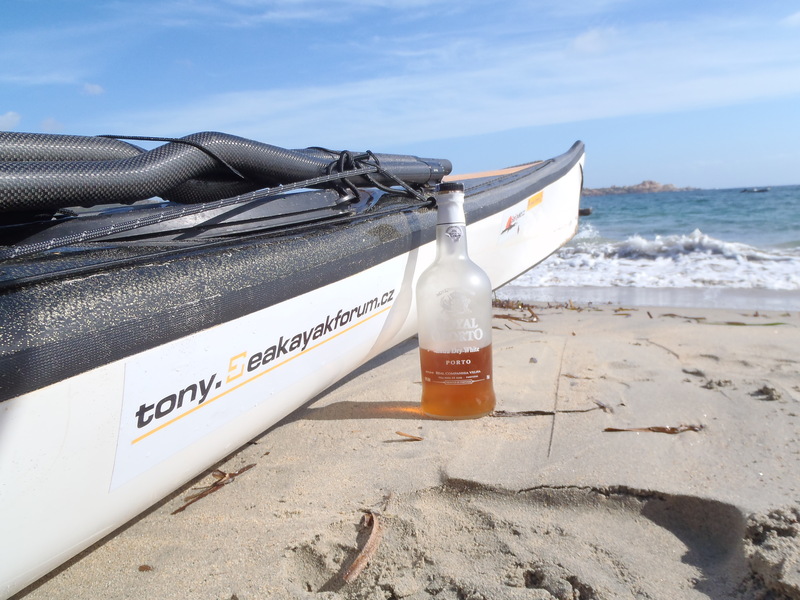 There were few international speciality exchanges involving home-made rum (from Mauritius) tasting and Moravian Slivovitz in return for our fellow paddler’s kindness. 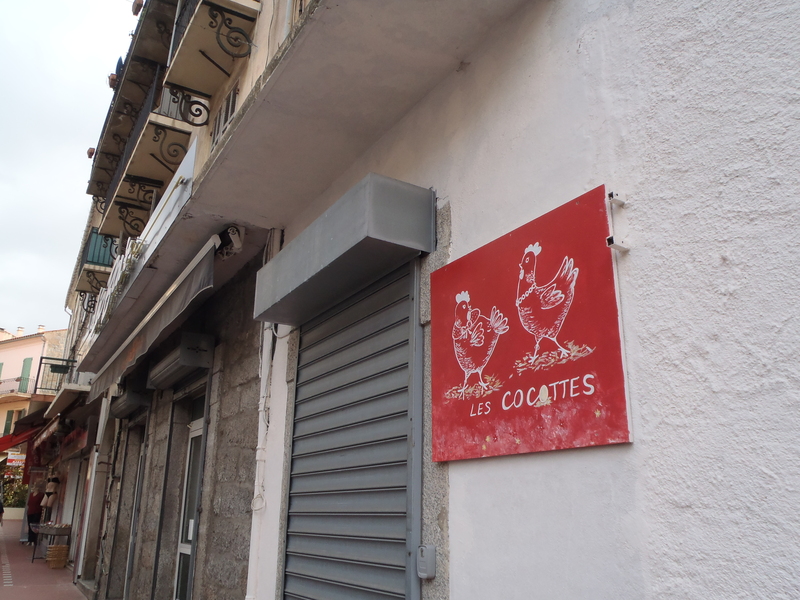 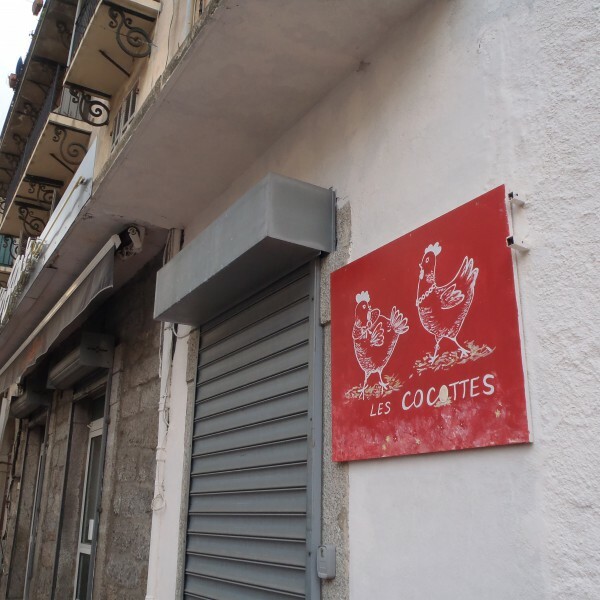 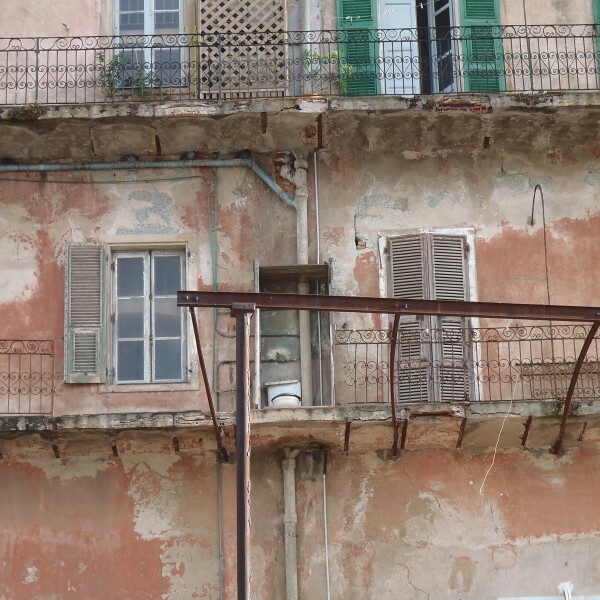 We have experienced local cusine, which involves a big plate of fish soup and exquisite service from the restaurant’s owner, which you can rarely get around where we live. 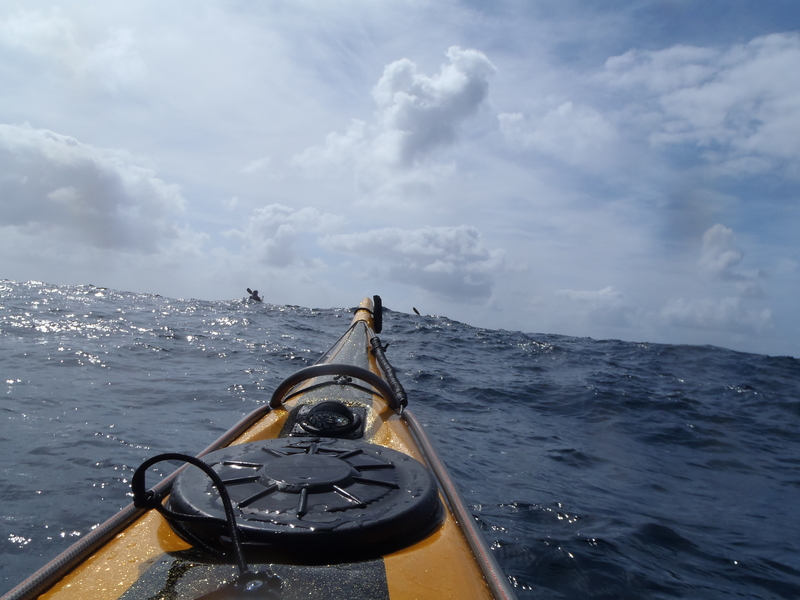 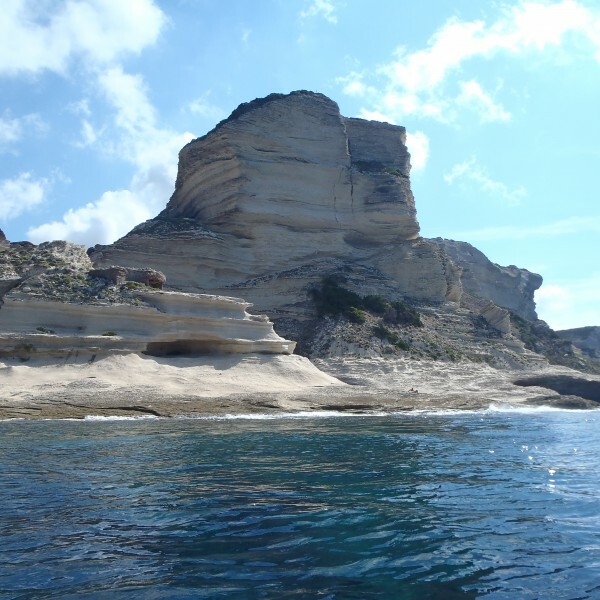 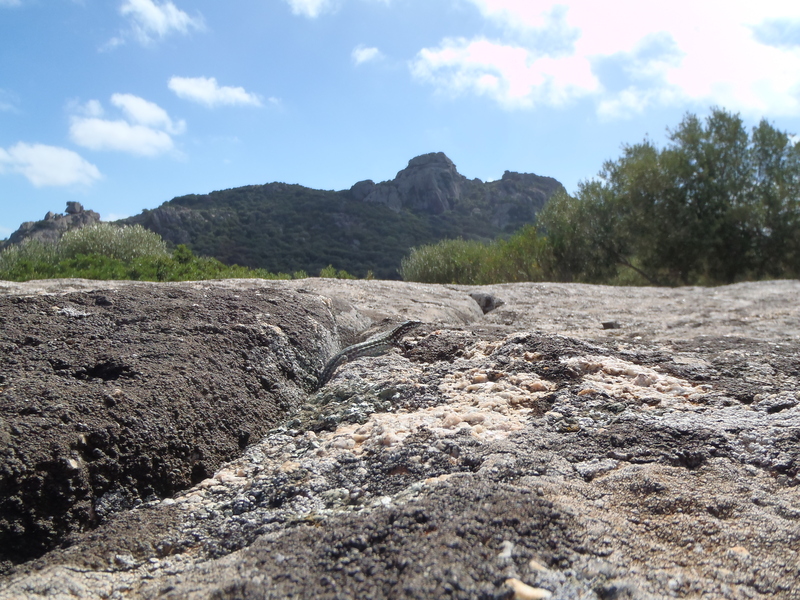 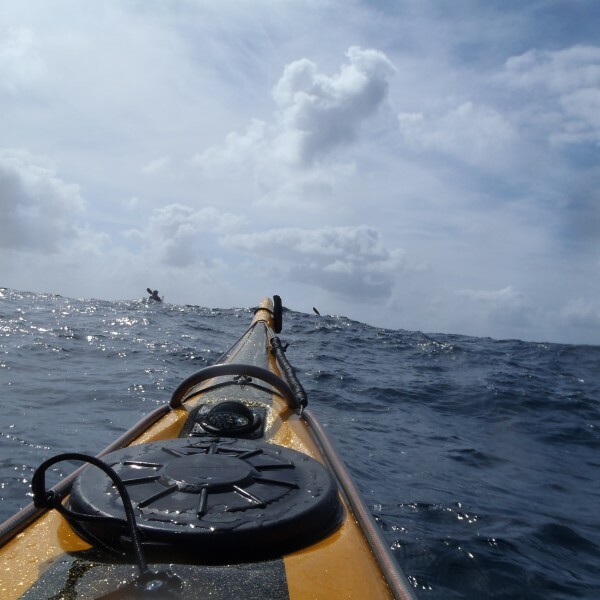 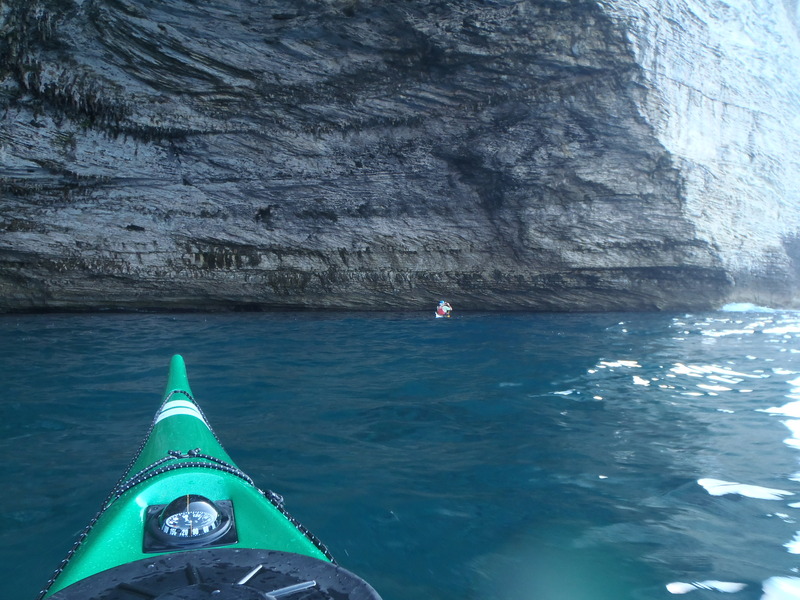 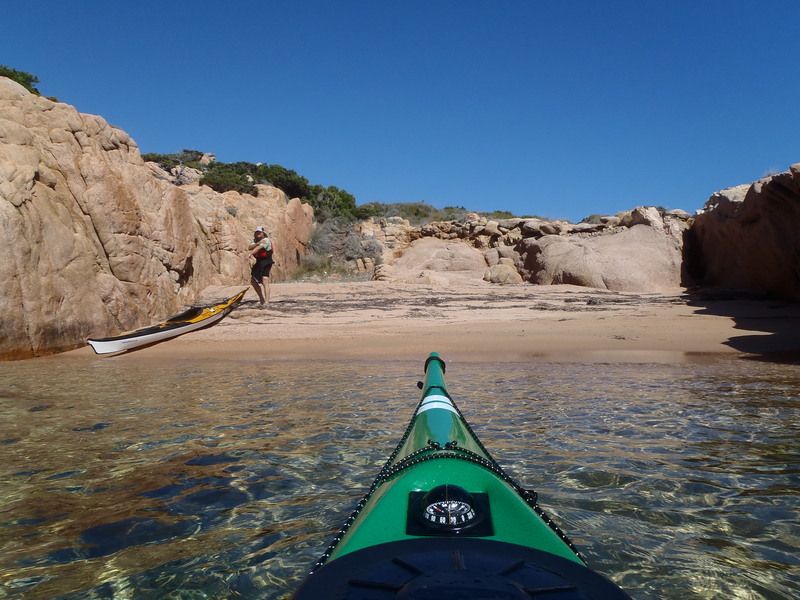 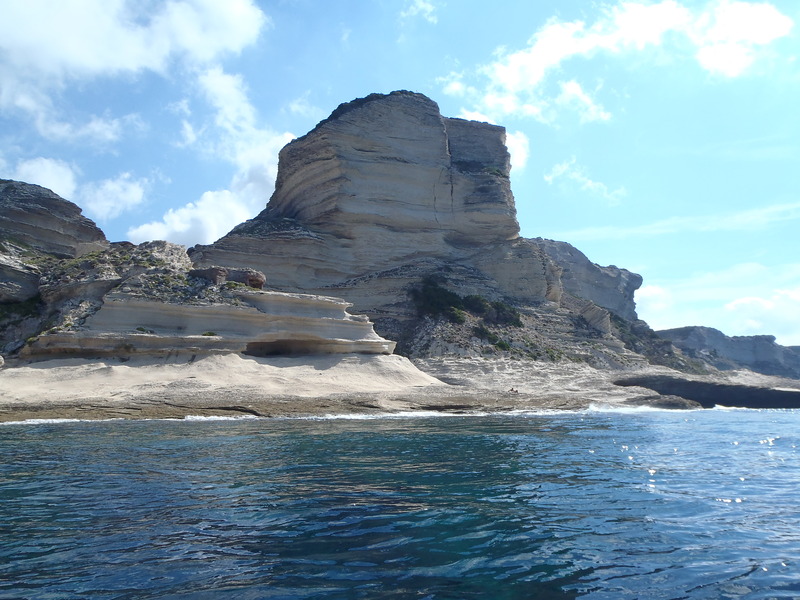 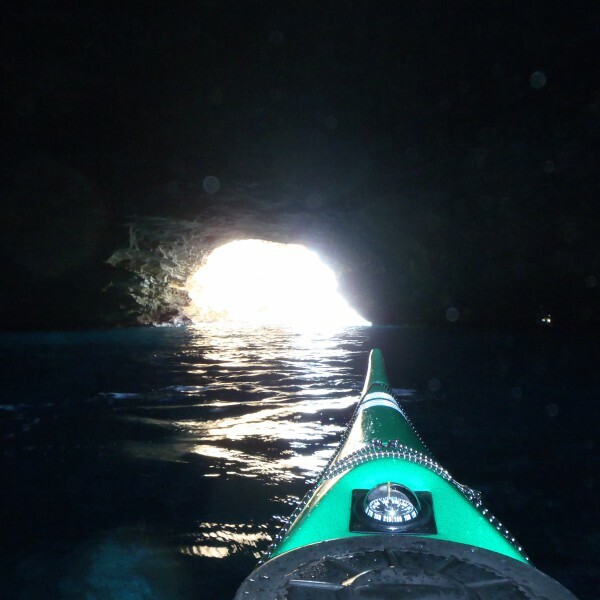 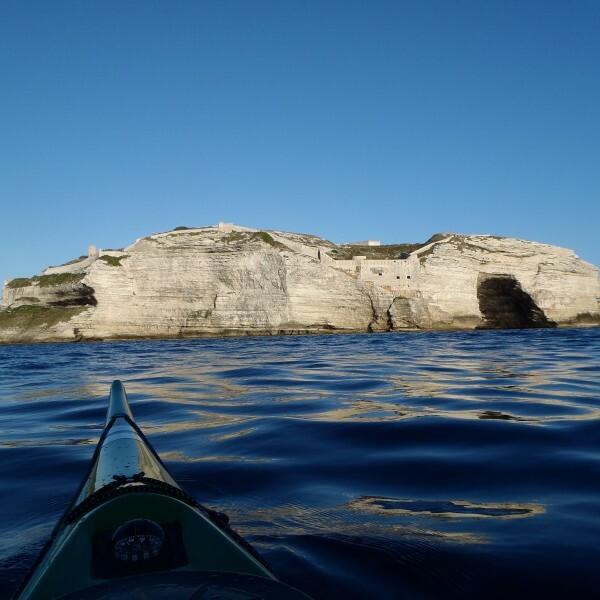 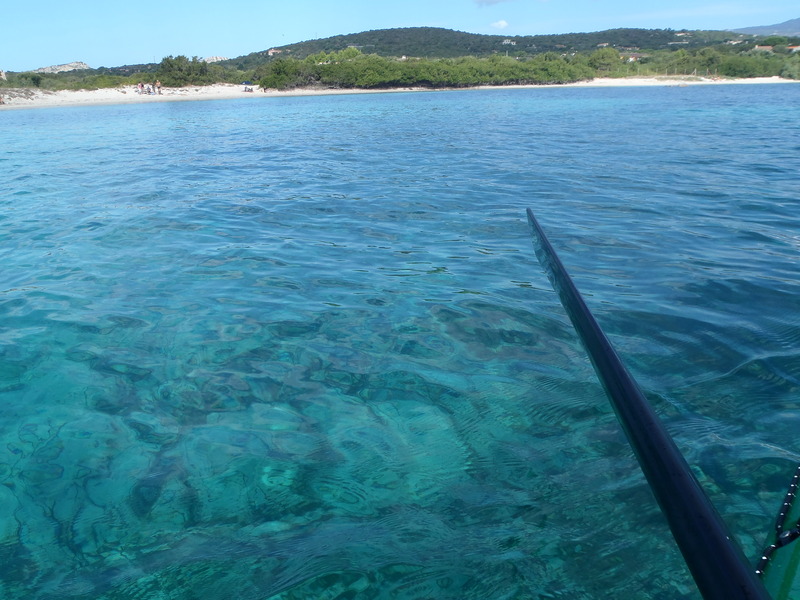 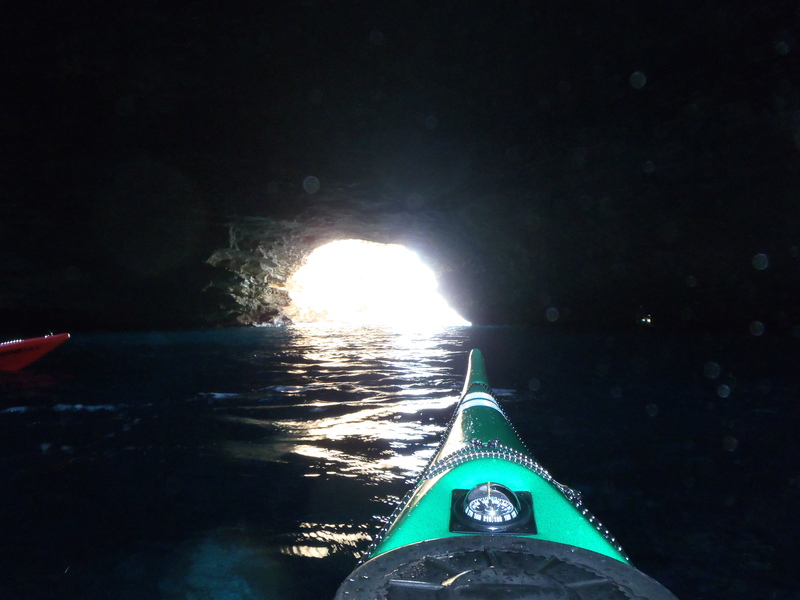 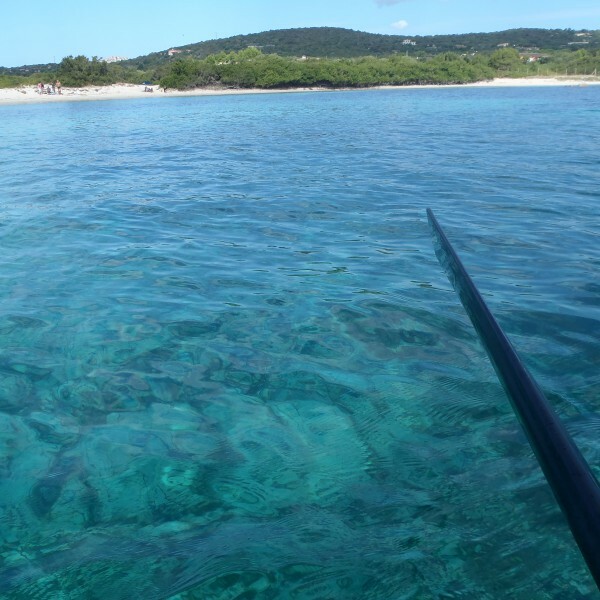 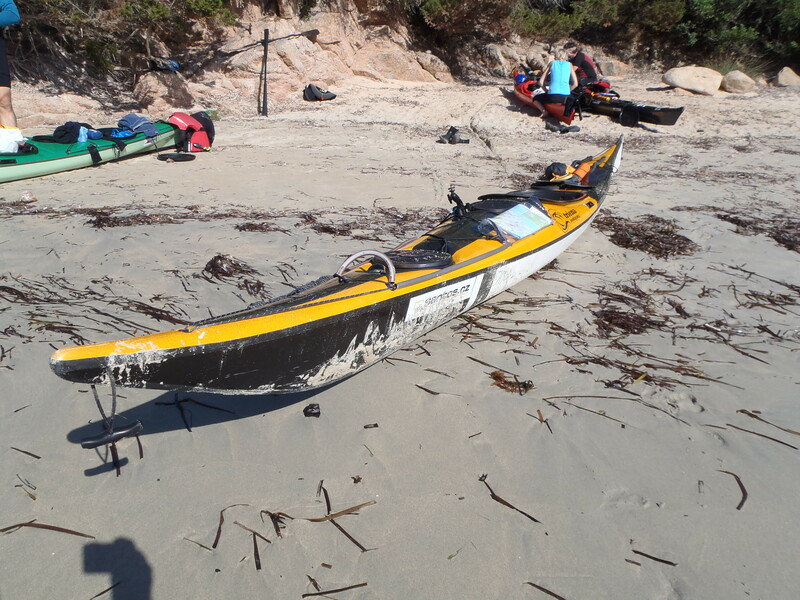 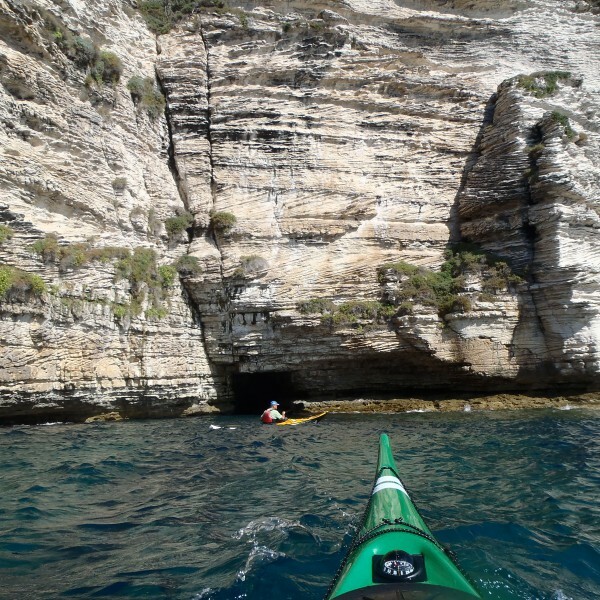 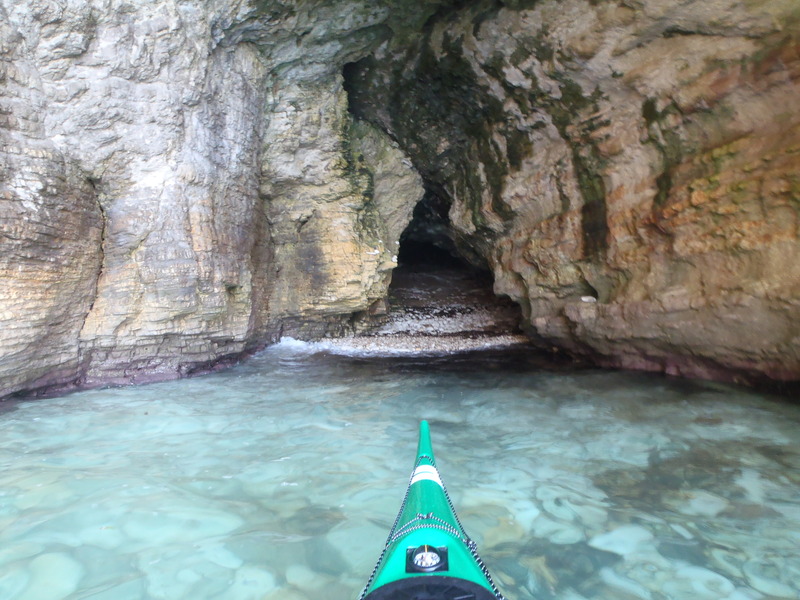 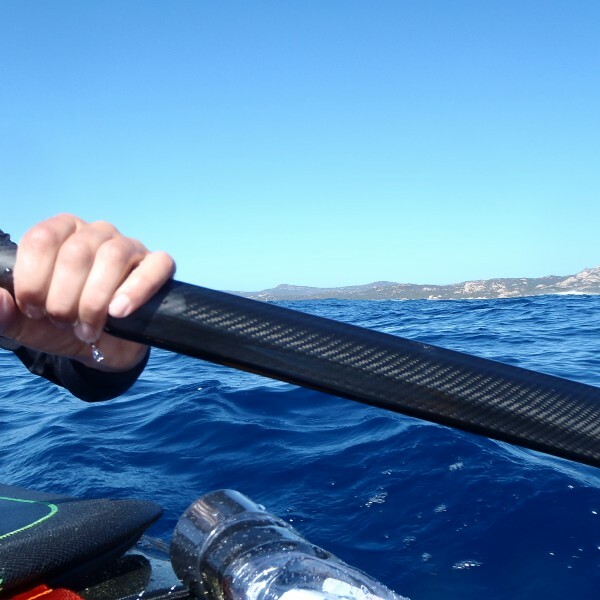 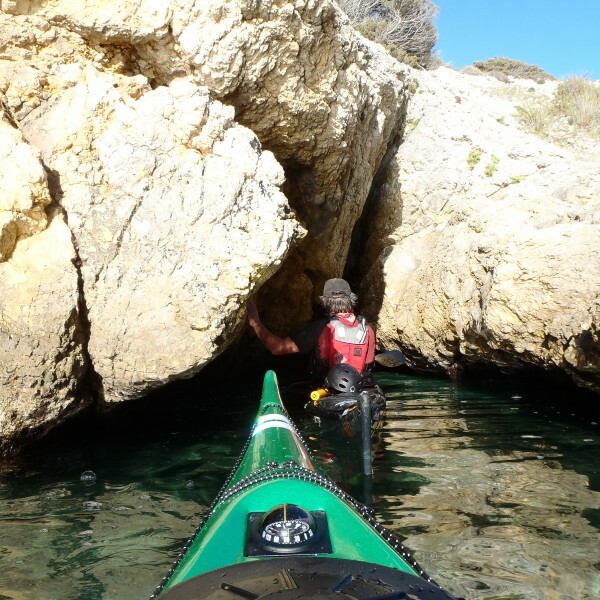 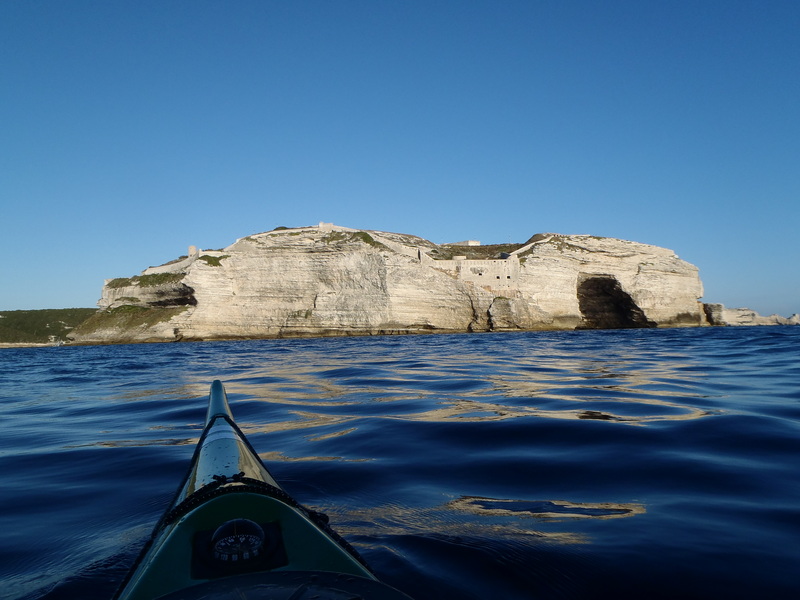 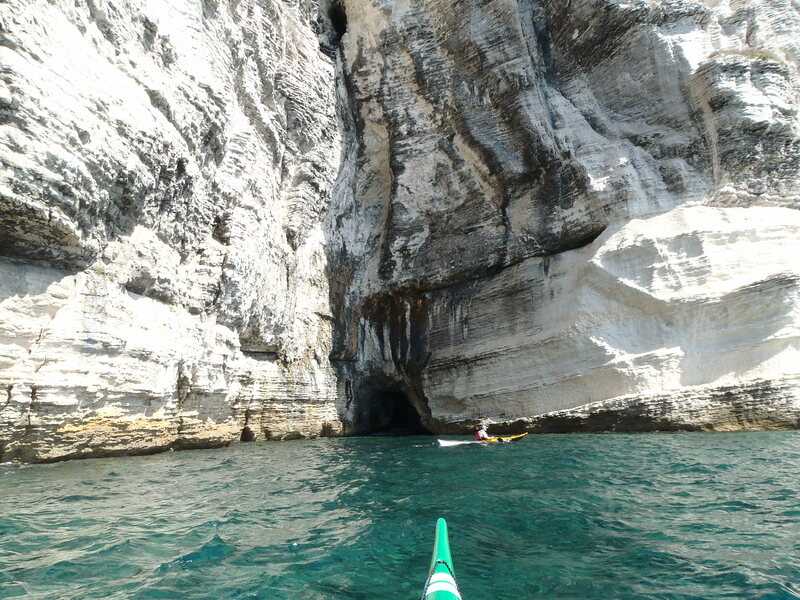 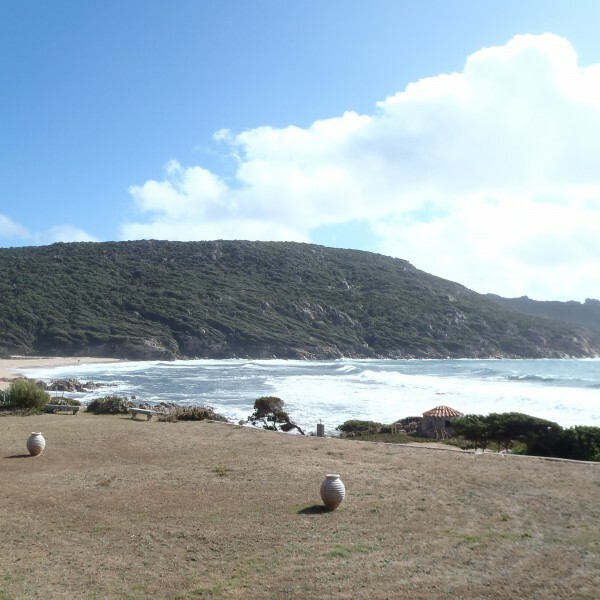 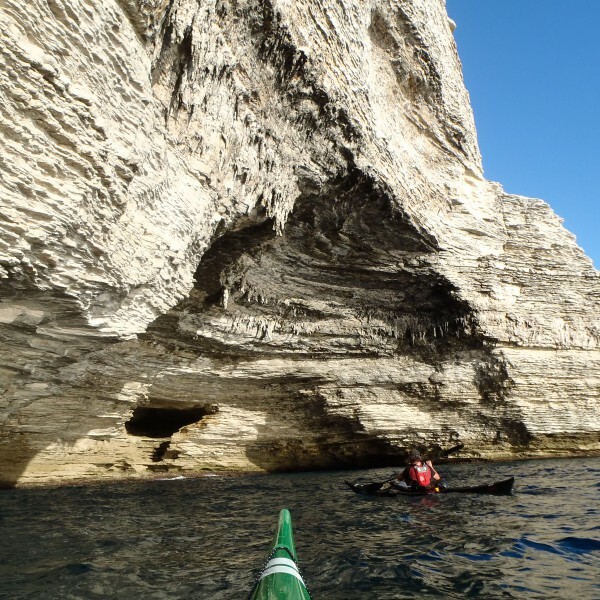 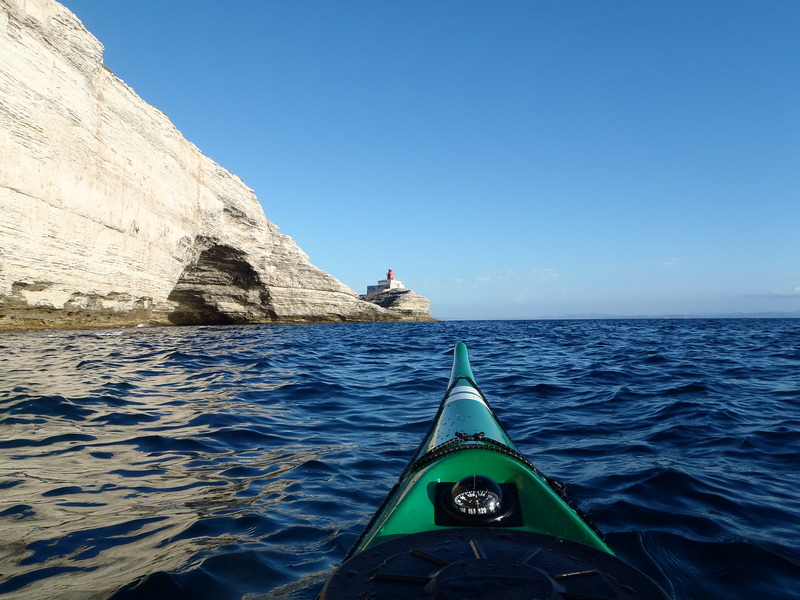 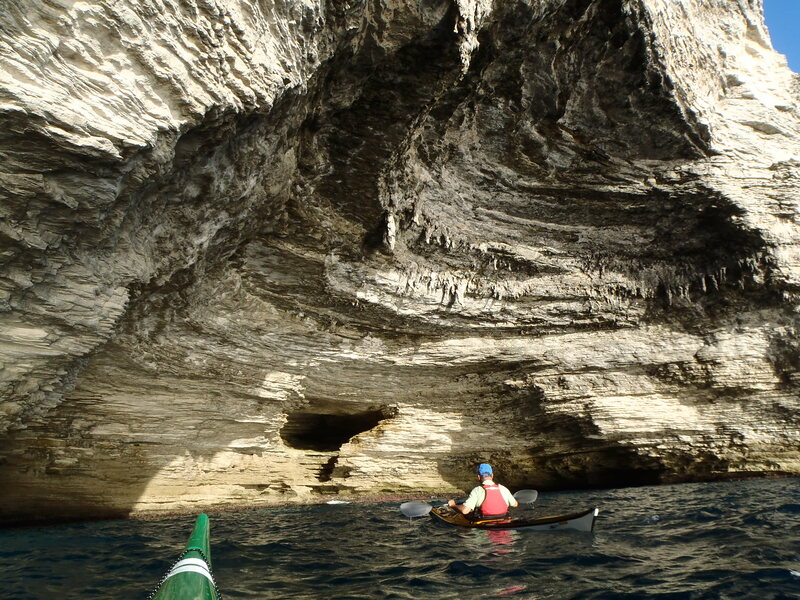 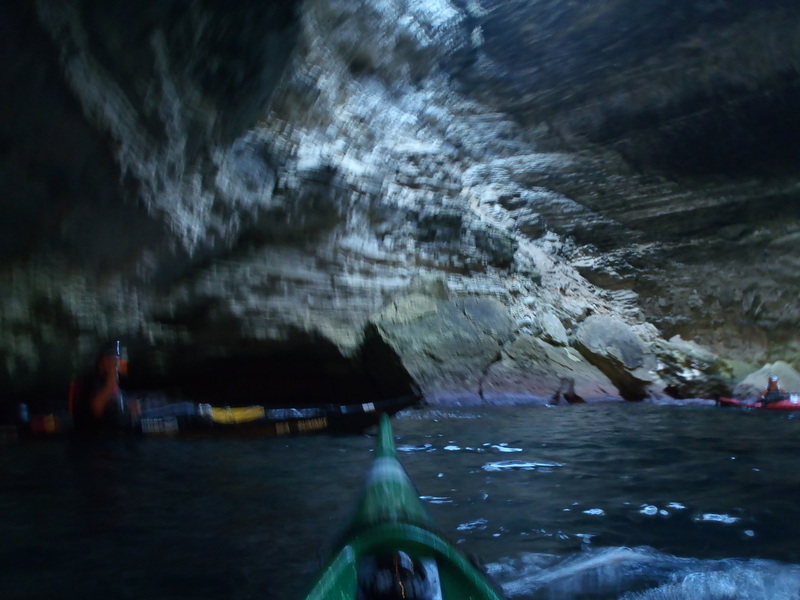 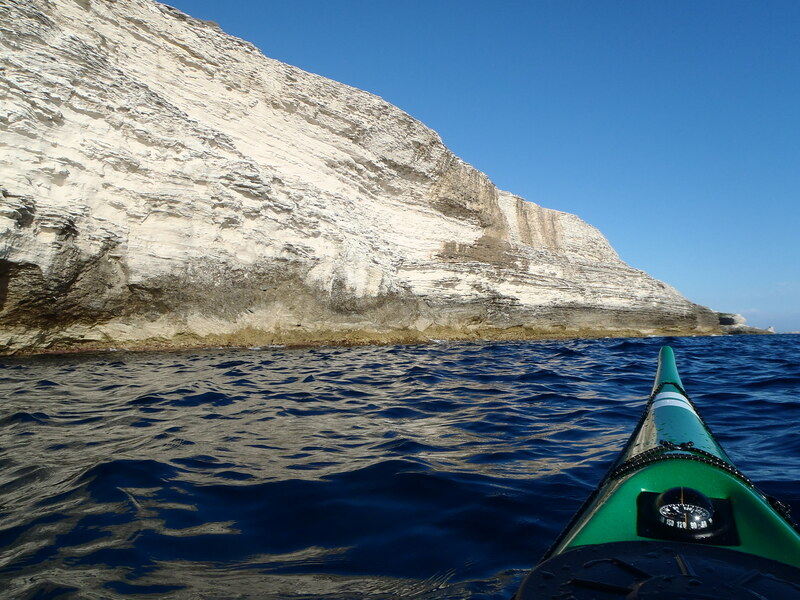 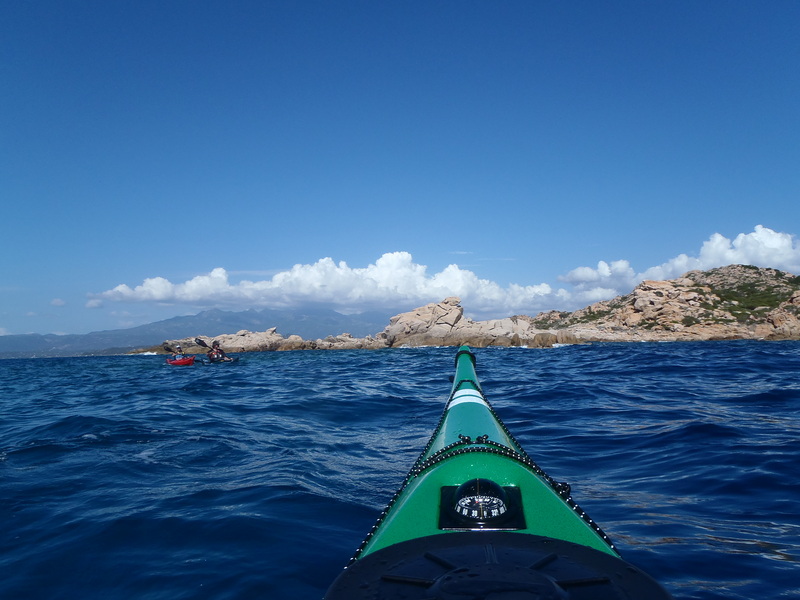 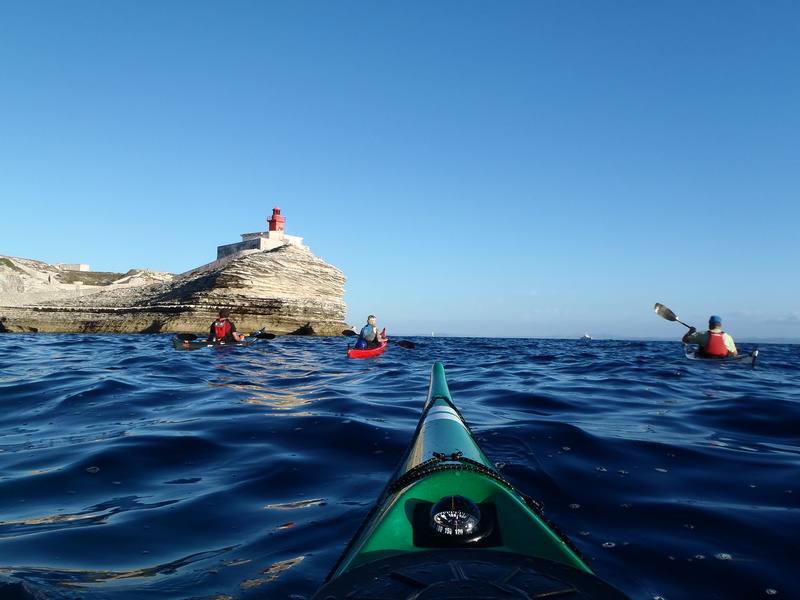 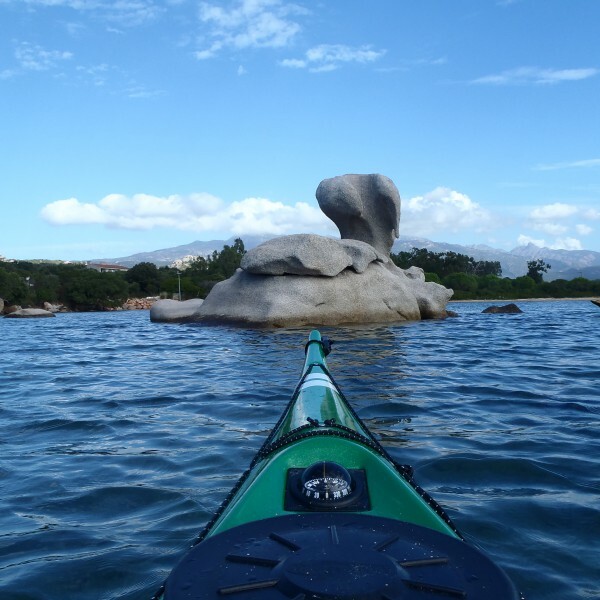 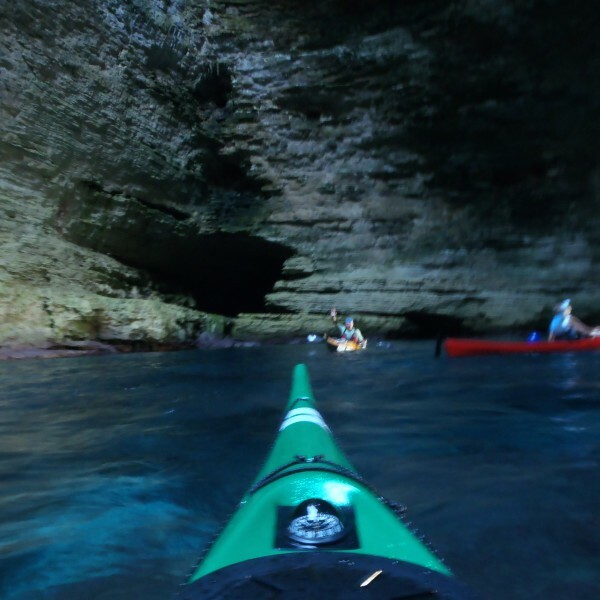 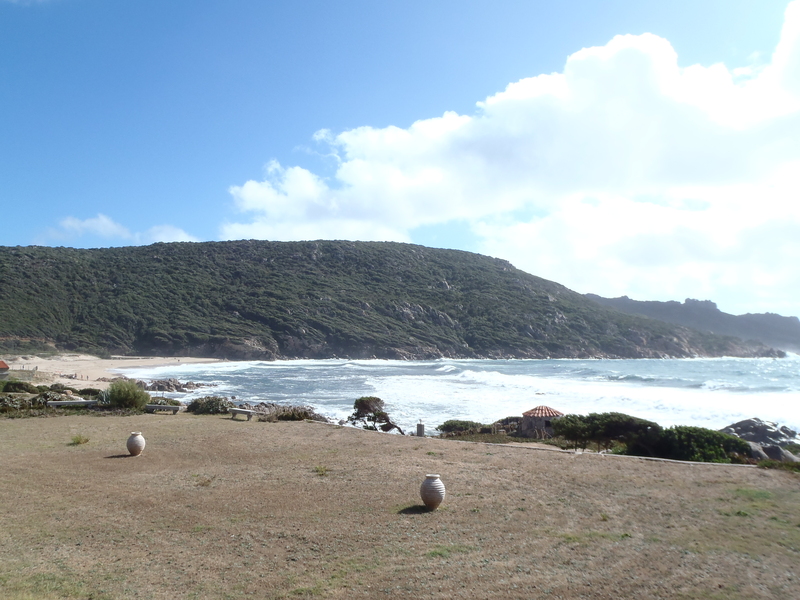 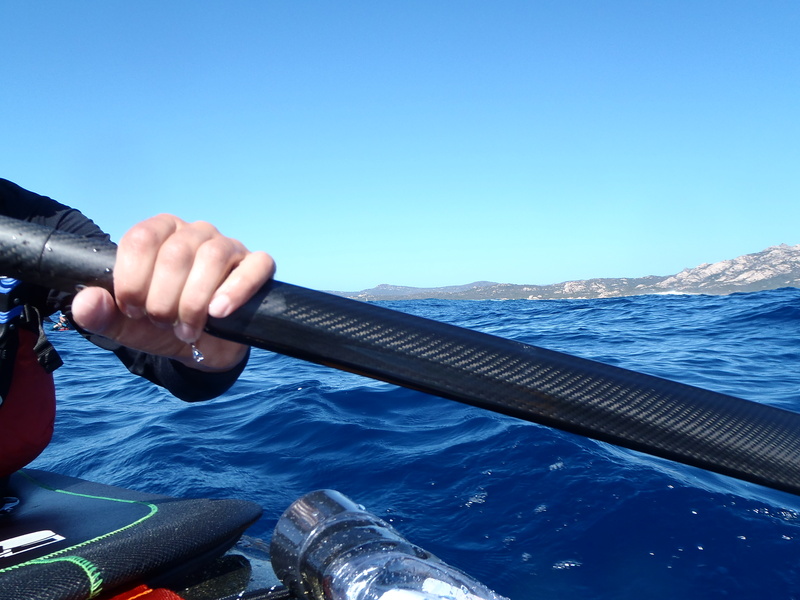 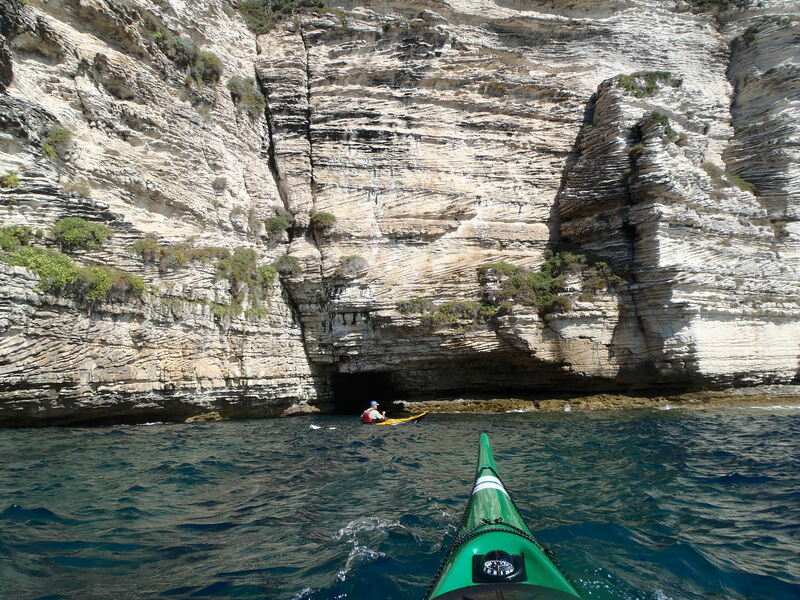 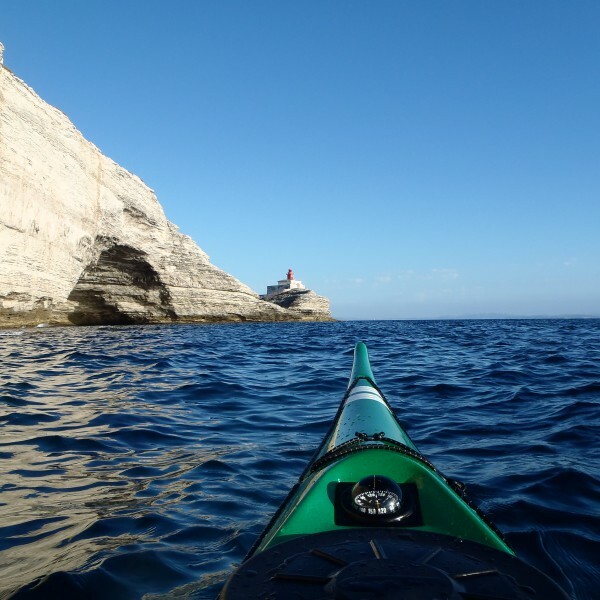 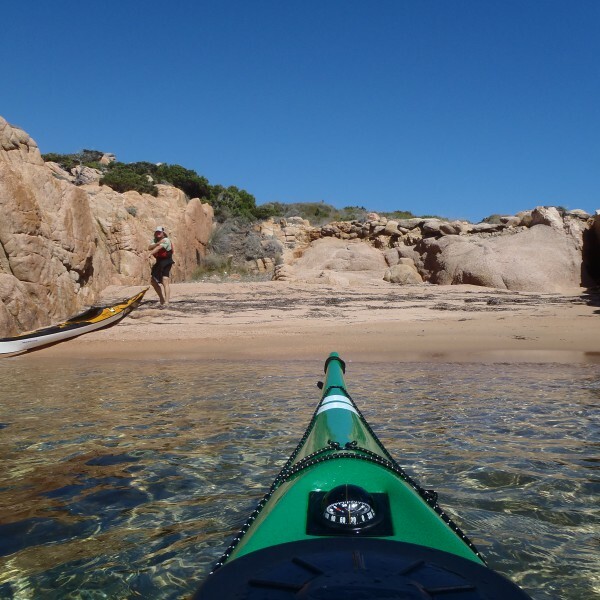 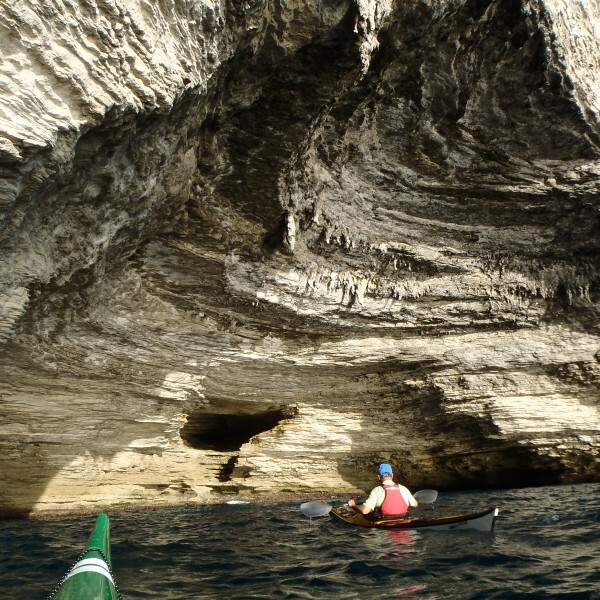 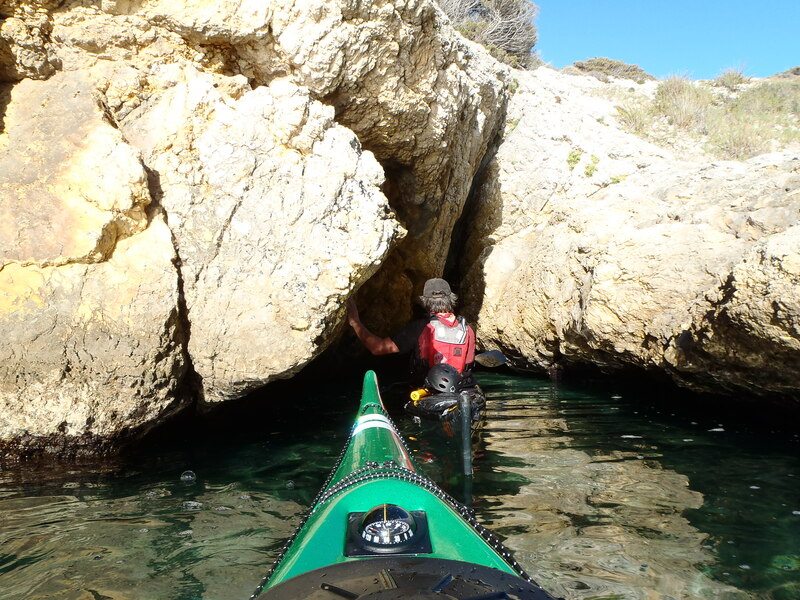 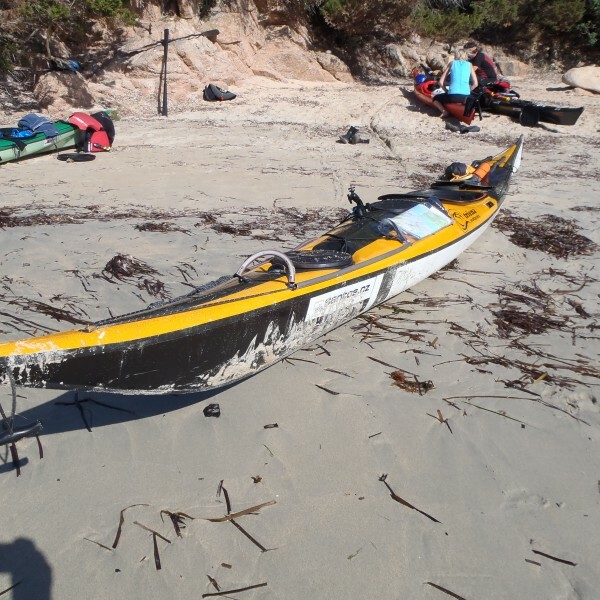 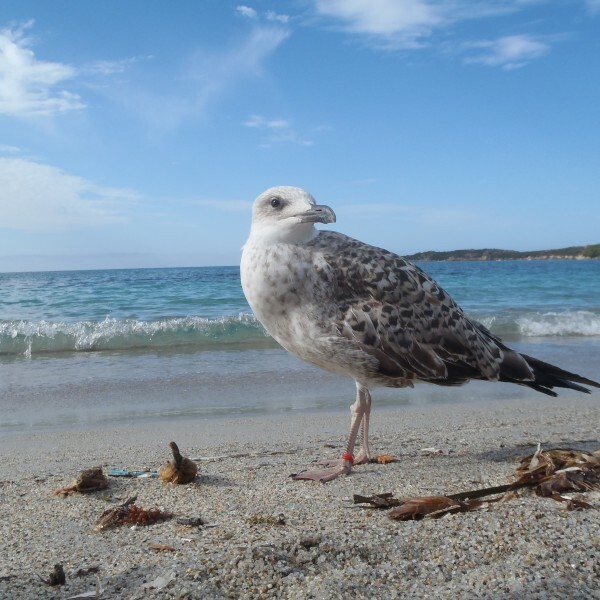 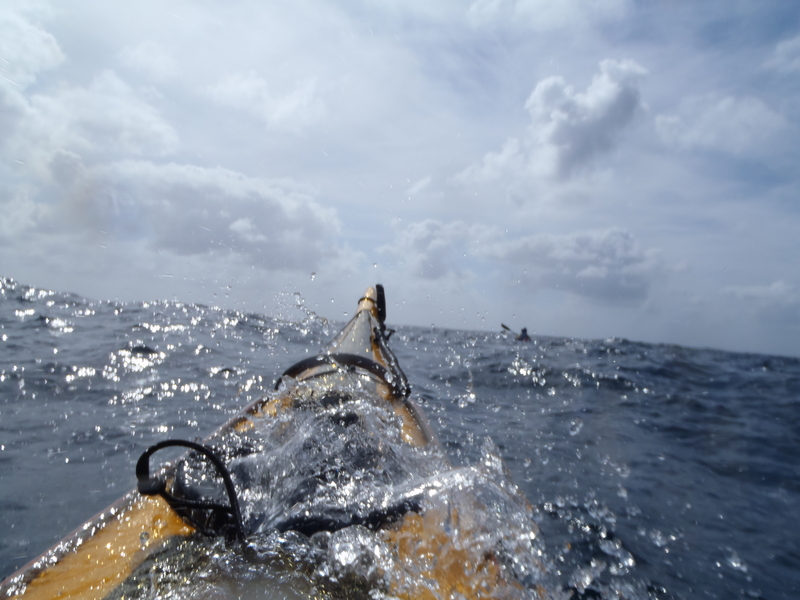 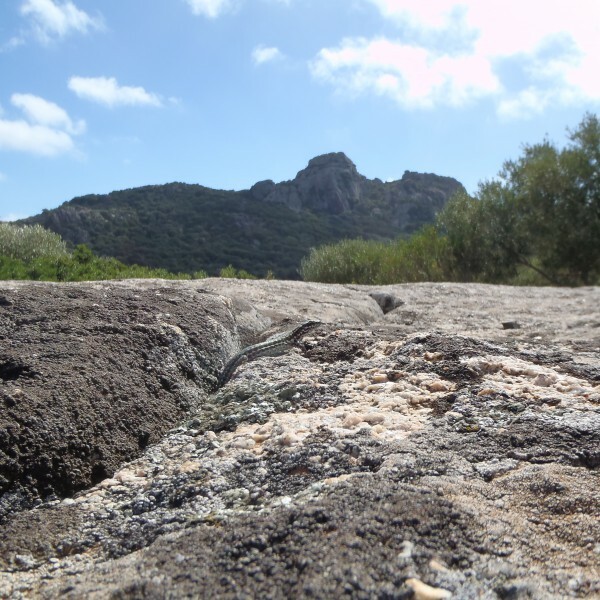 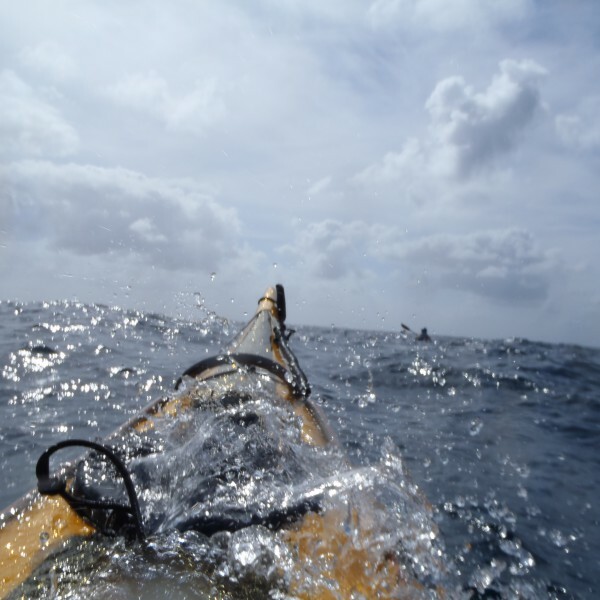 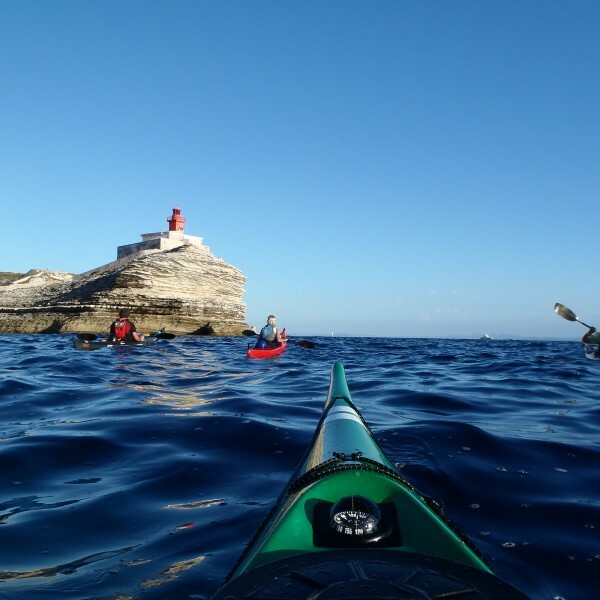 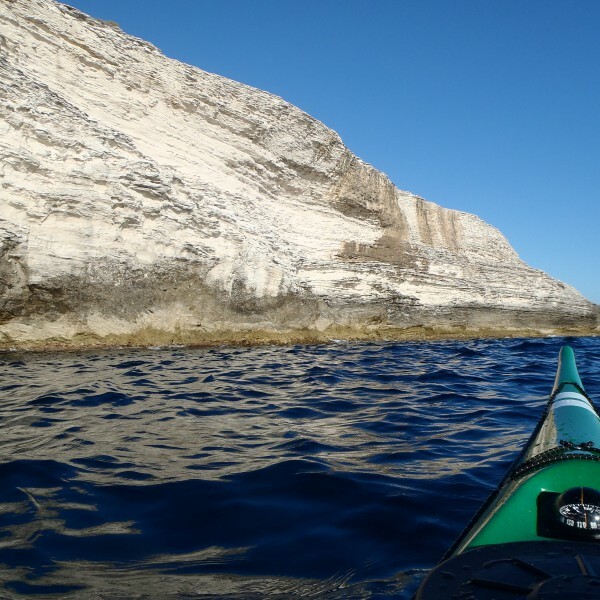 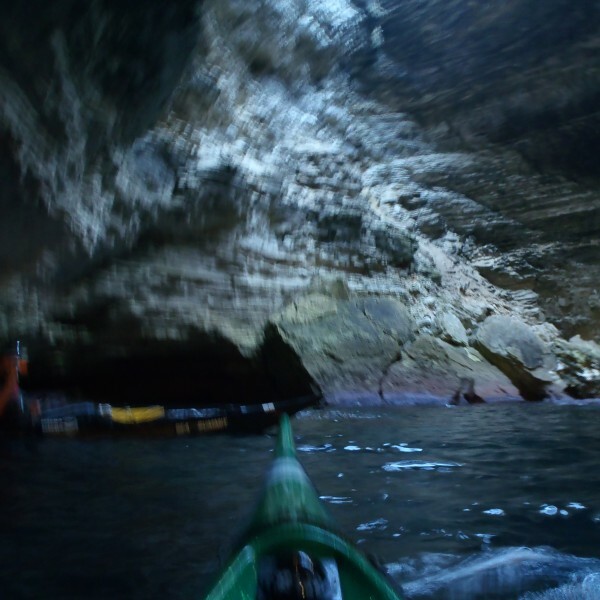 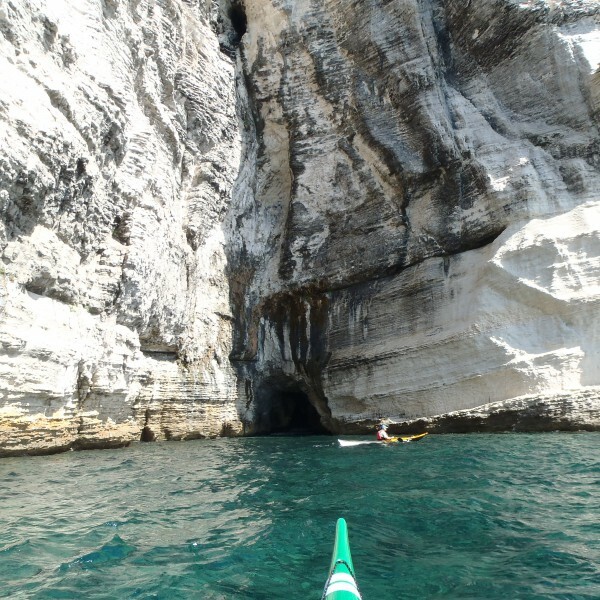 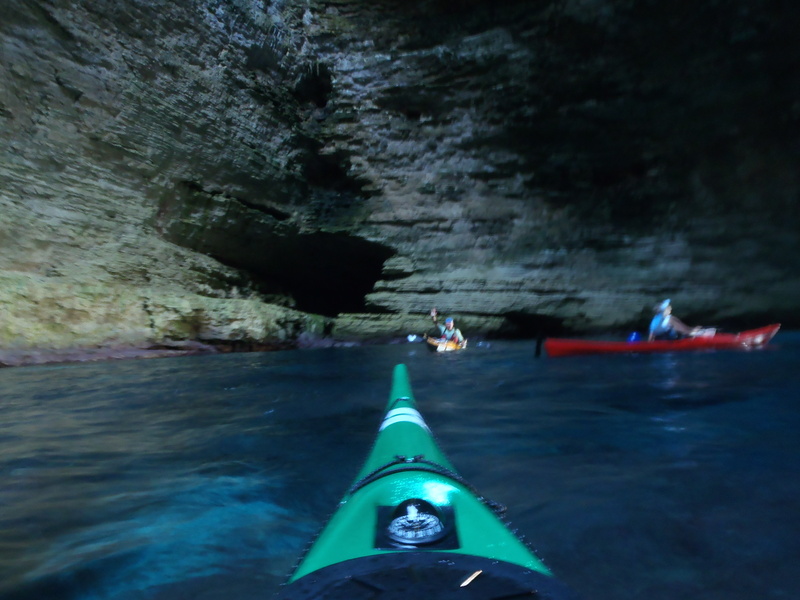 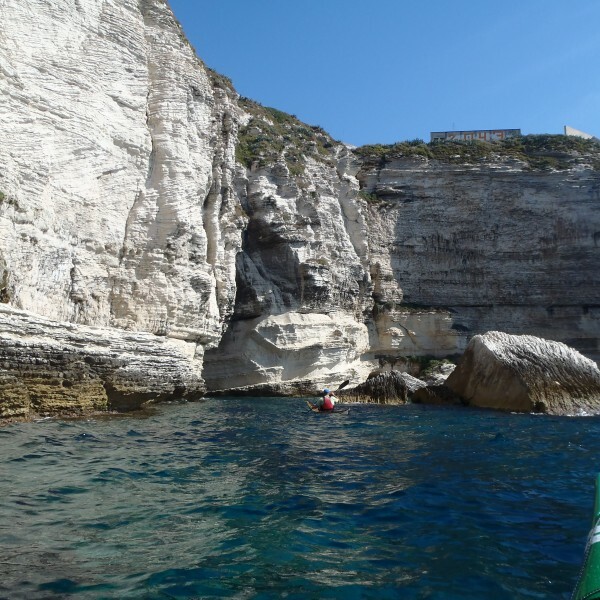 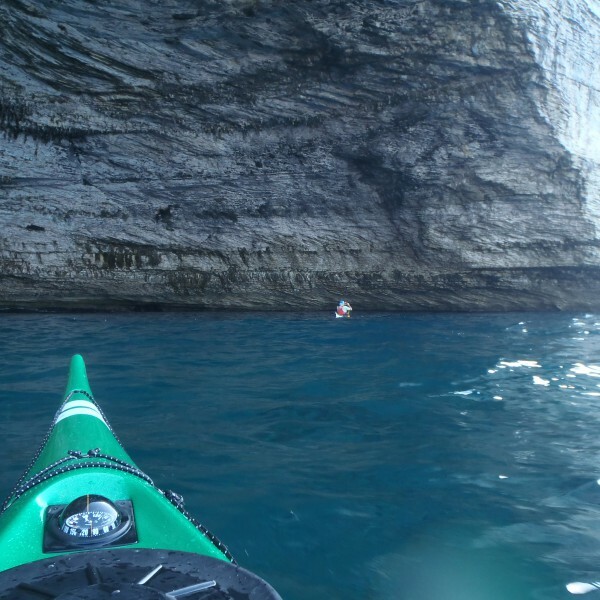 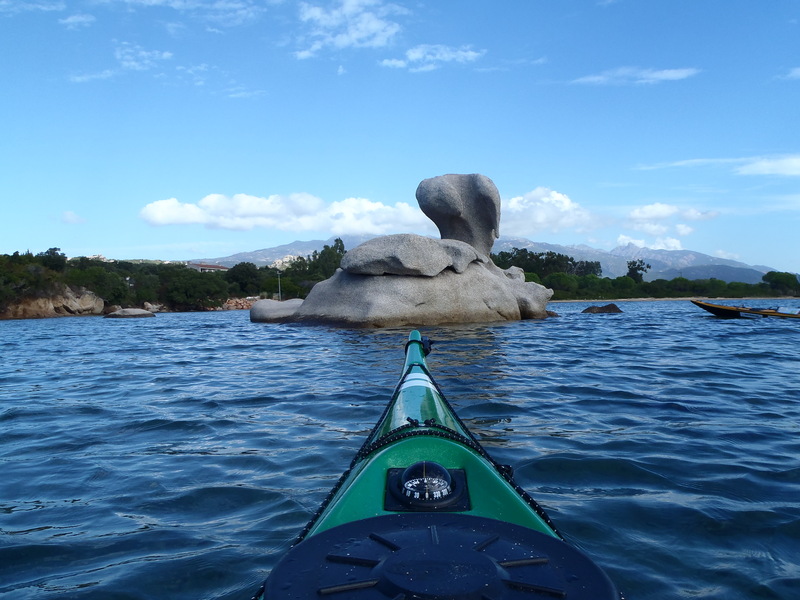 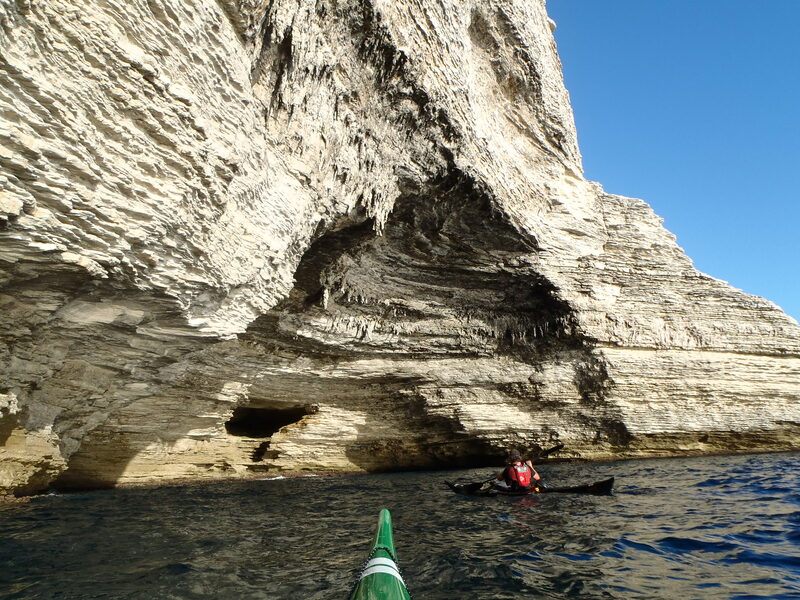 Lastly, and most importantly, we have realised our paddling limits when crossing cape of Tizzano with its underwater rocks in 6m waves – such situations make you think over your attitude towards planning and safety in sea kayaking…and hopefully will help us to do, what we do, better and longer. 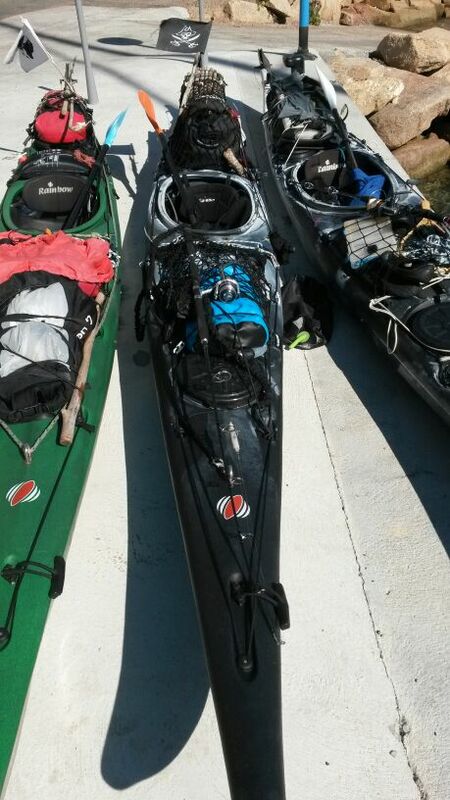 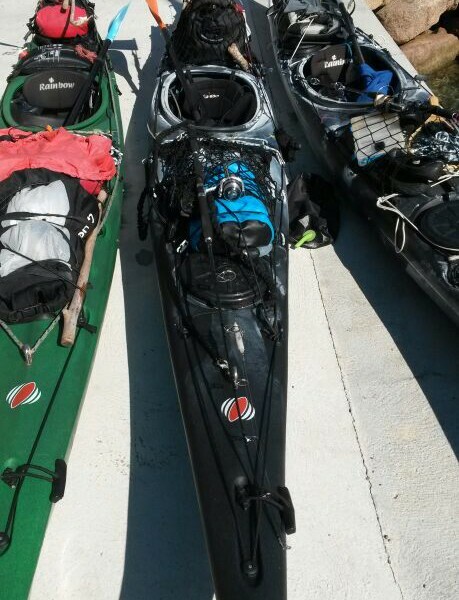 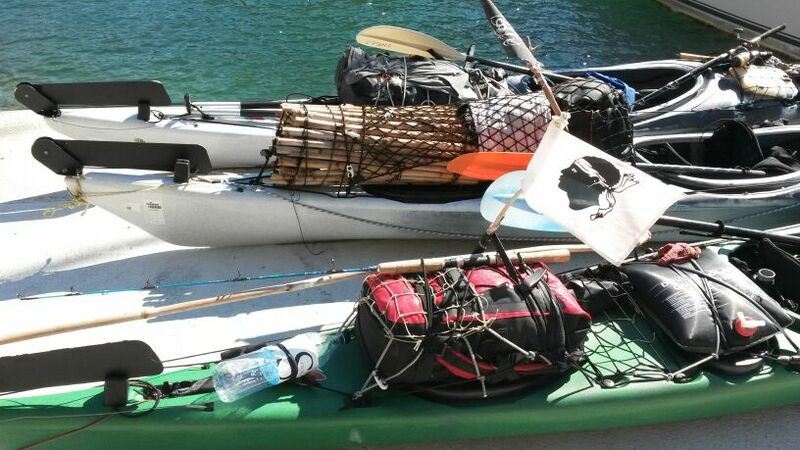 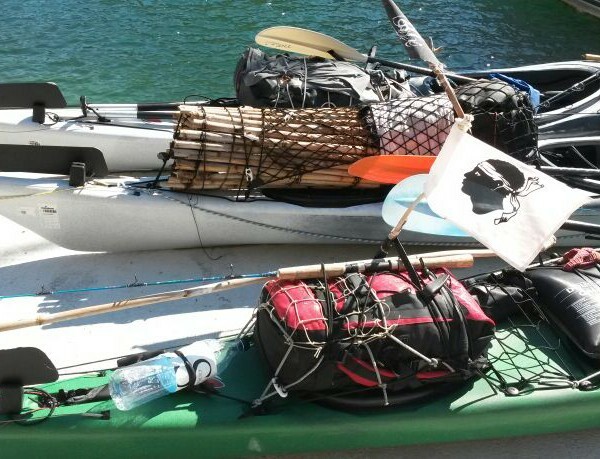 there is more fishing equipment than kayaking equipment:) gotta learn to fish!